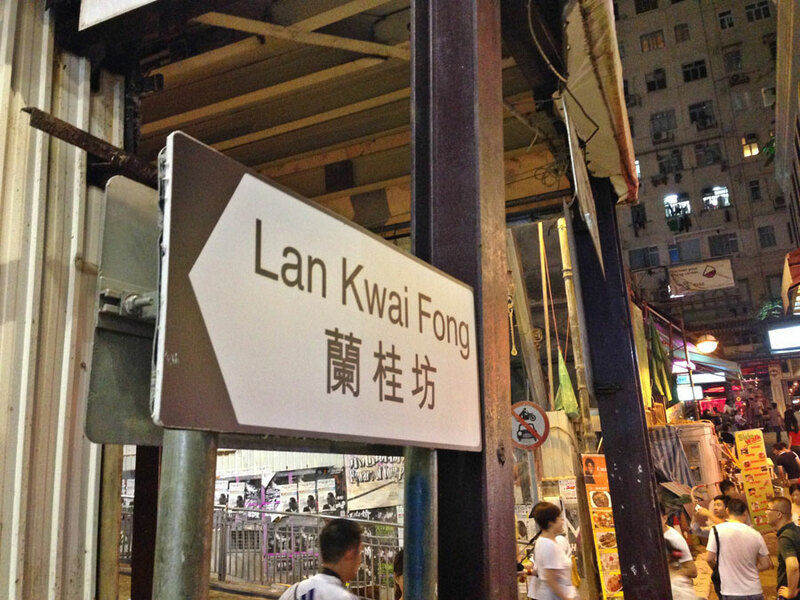 Prior to arriving in Hong Kong, I was a bit ignorant to its geography. 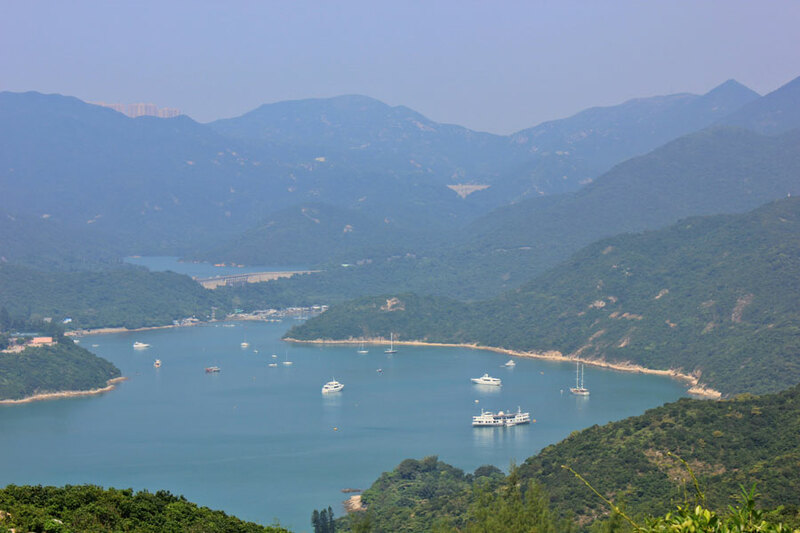 The city is made up of three territories – Hong Kong Island, The Kowloon Peninsula, and The New Territories, all in which I had the pleasure of exploring. 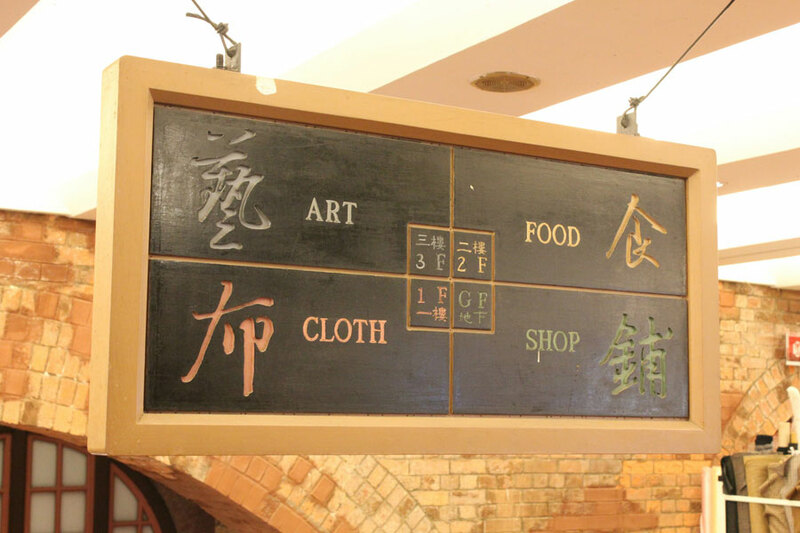 Each region offers something different. 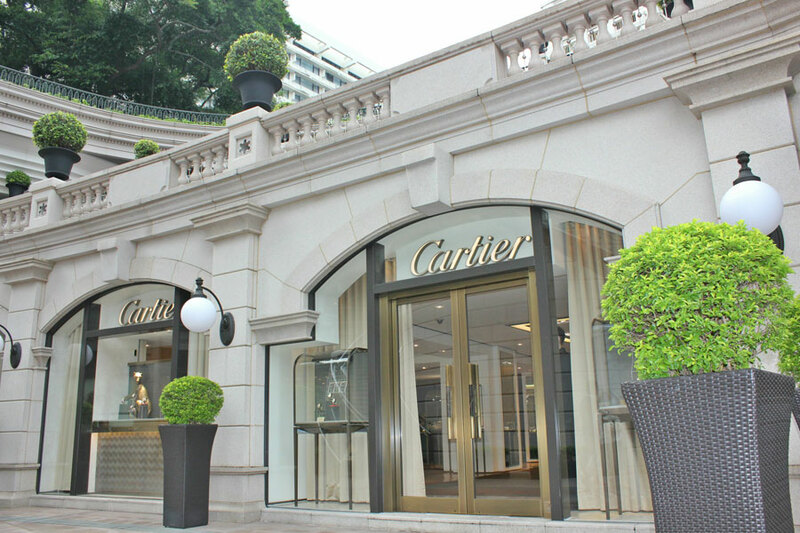 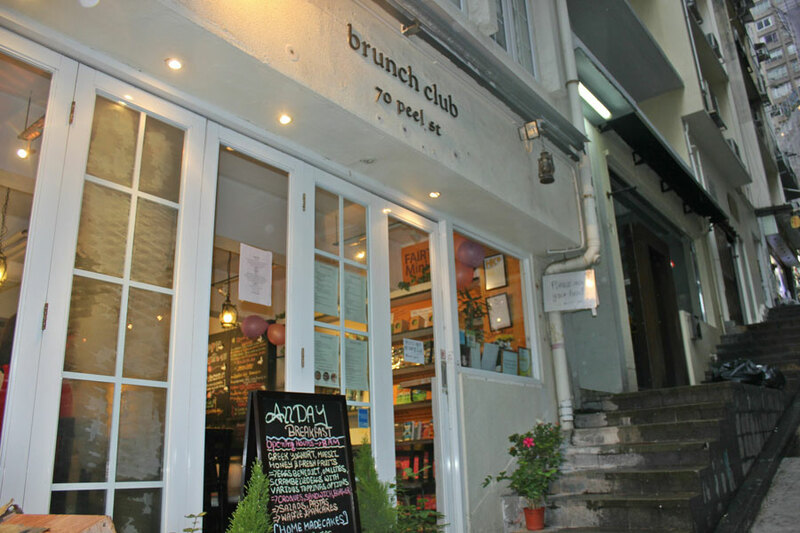 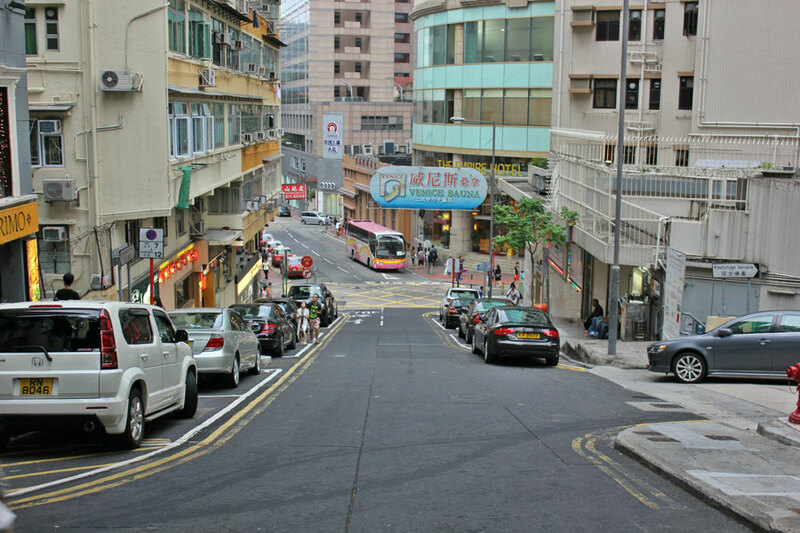 Hong Kong Island is very European with many alleys leading to a new discovery. 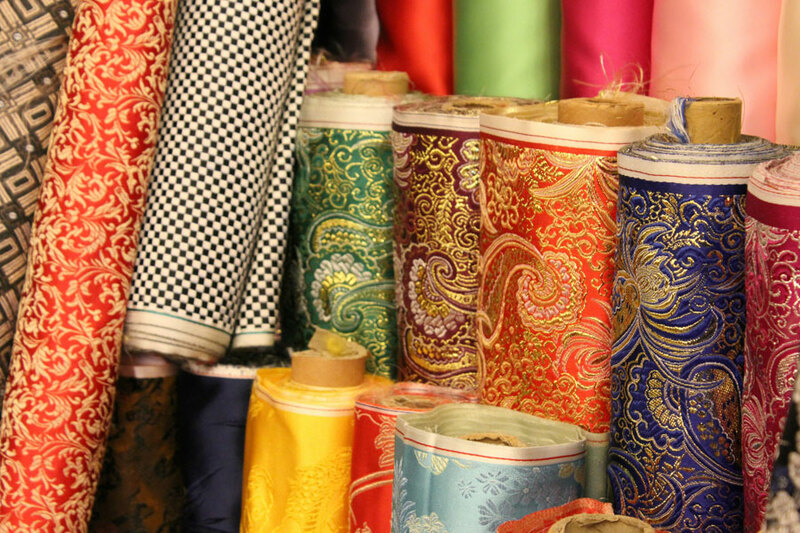 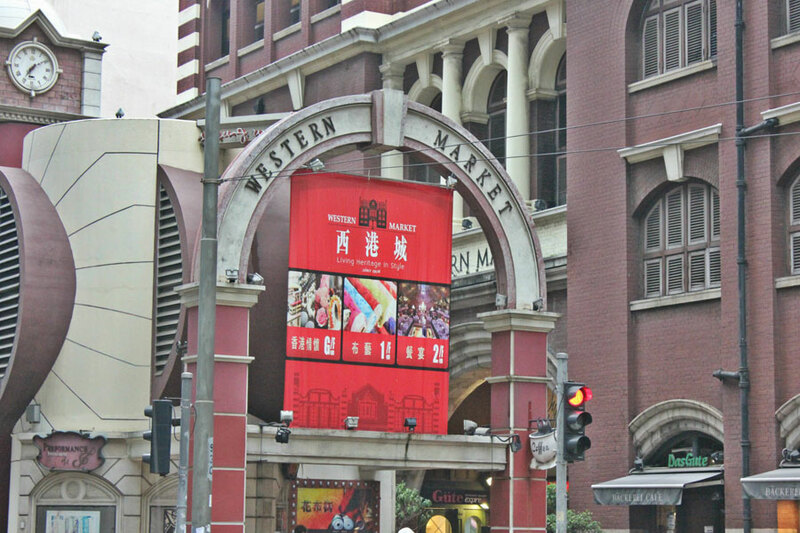 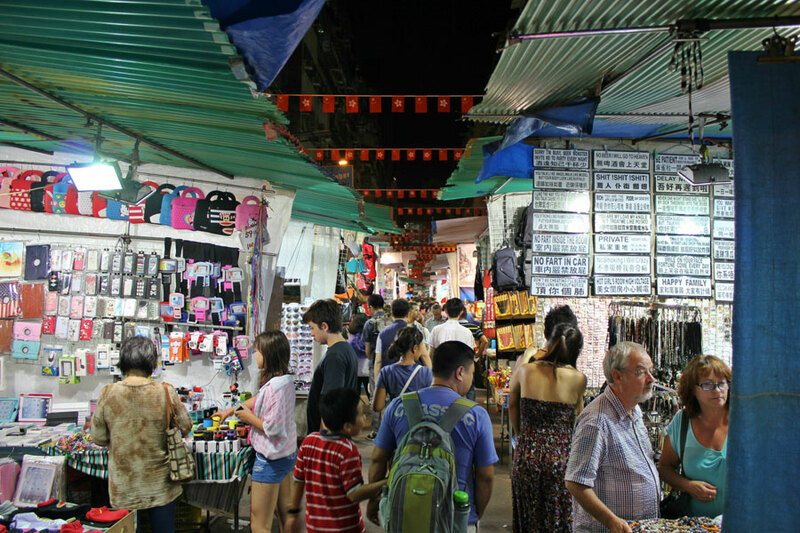 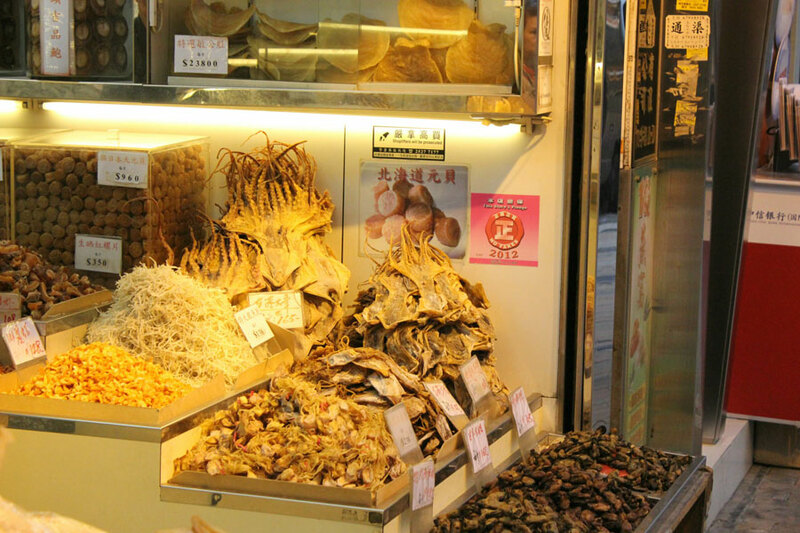 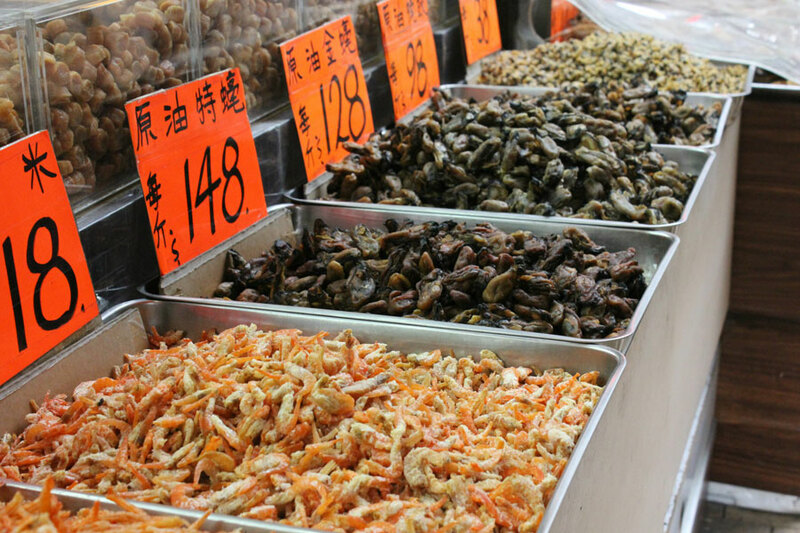 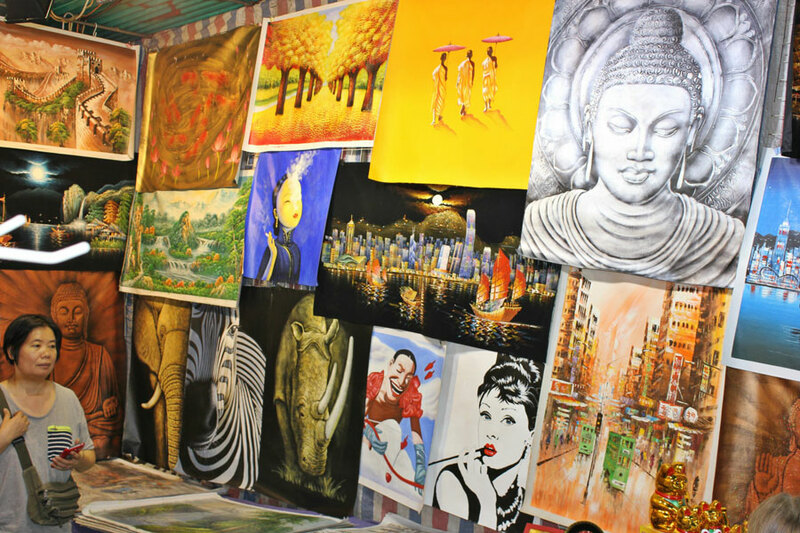 The Kowloon Peninsula is a bit more authentic, with many street markets to satisfy every taste. 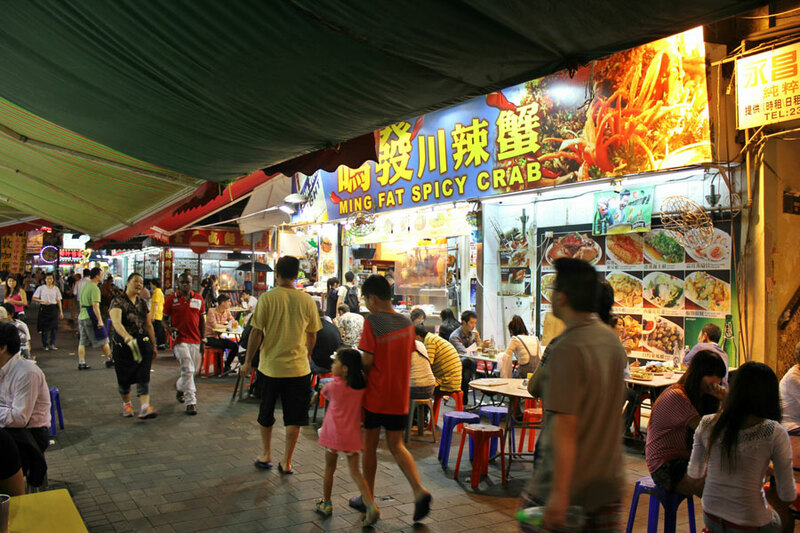 There are also many family owned restaurants and local delicacies to choose from. 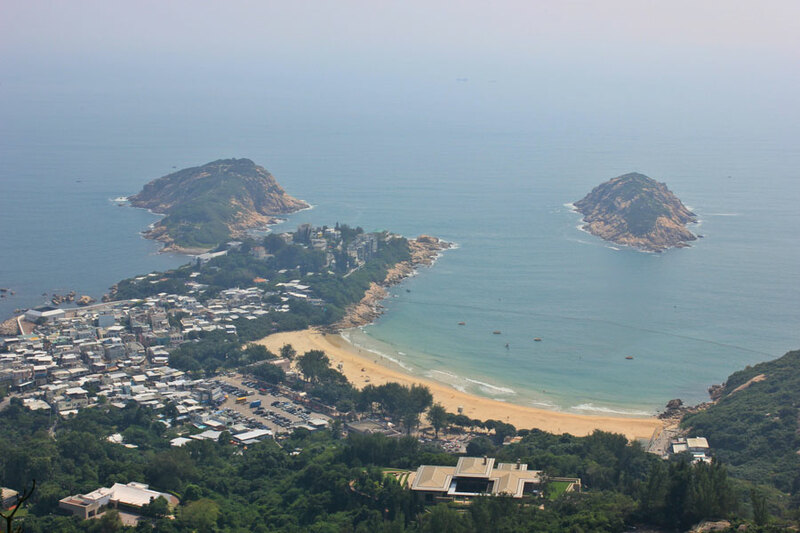 The New Territories is the least visited by tourists and is more rural than the fast paced day to day living on Hong Kong Island and the Kowloon Peninsula. 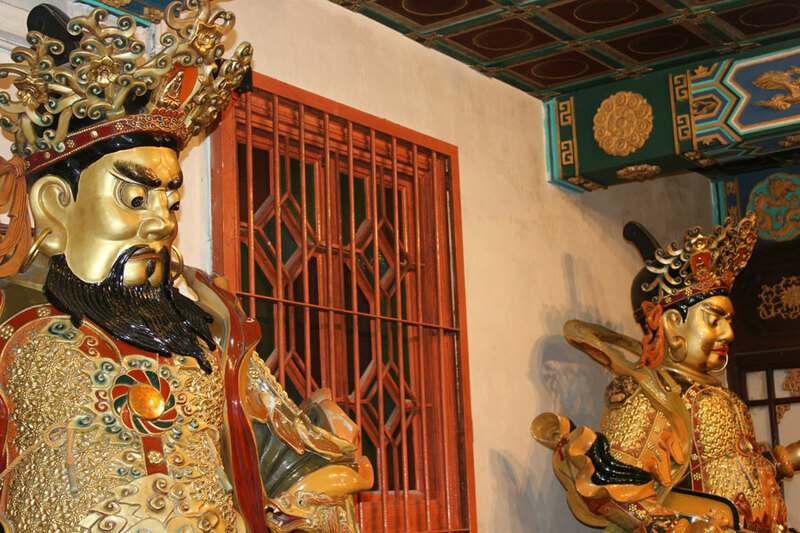 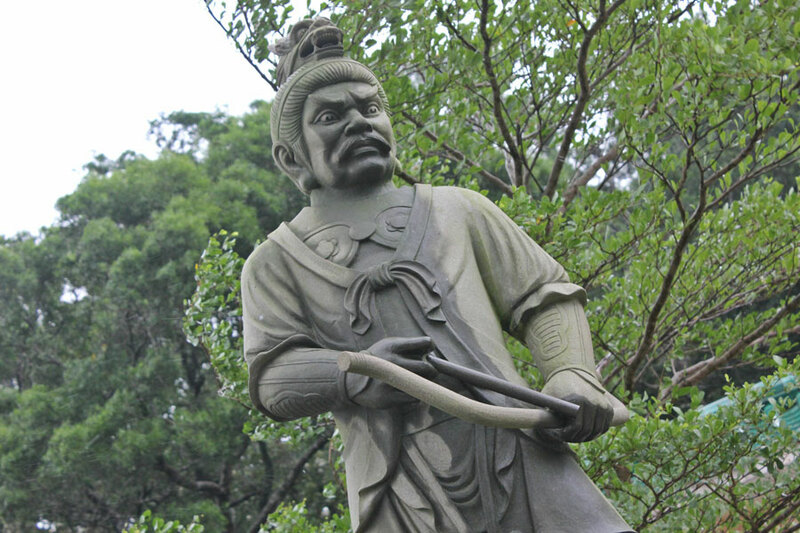 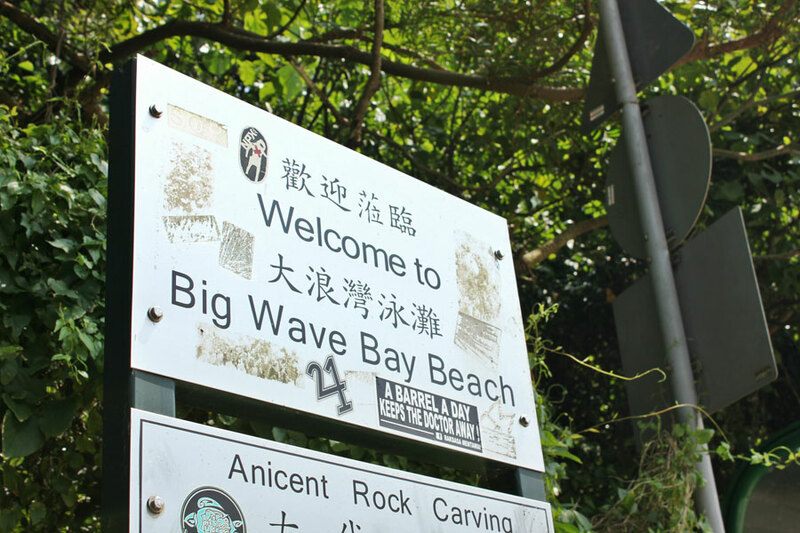 If you consider yourself a traveler, not a tourist, the New Territories is worth a quick visit. 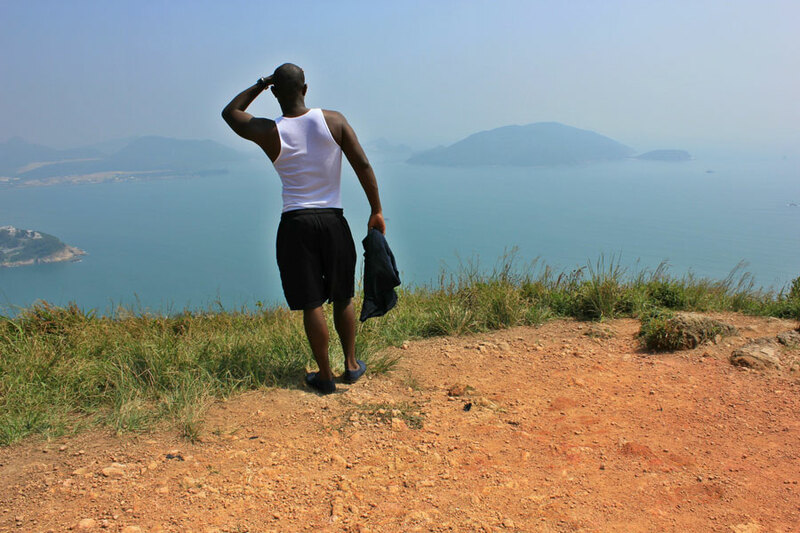 Below is a recap of my best moments/things to do while in Hong Kong. 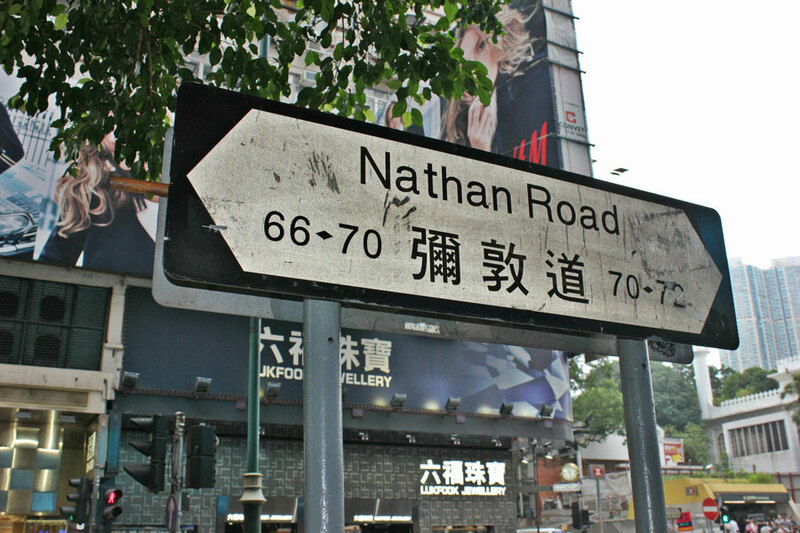 Whenever I travel, my main goal is not only to see the main tourist attractions, but also something on the off beaten path. 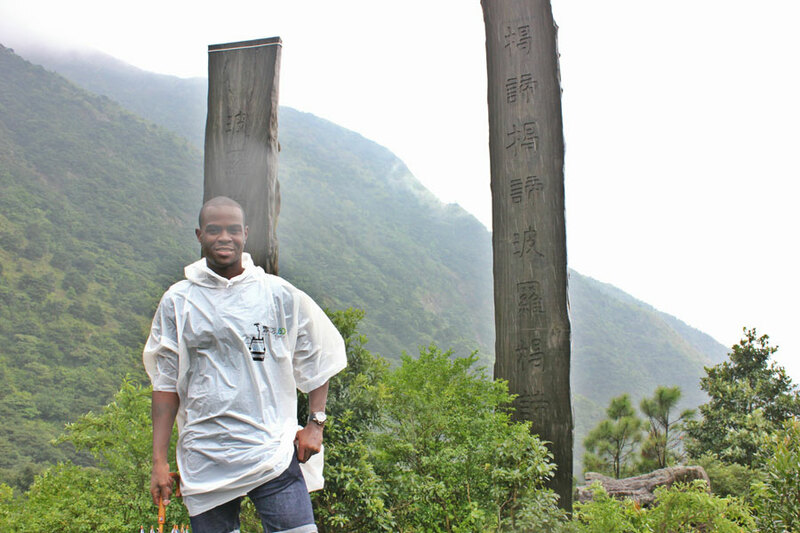 Hiking through the mountains, engaging with nature, and having a beer or two with the locals is what I consider a meaningful and worthwhile trip. 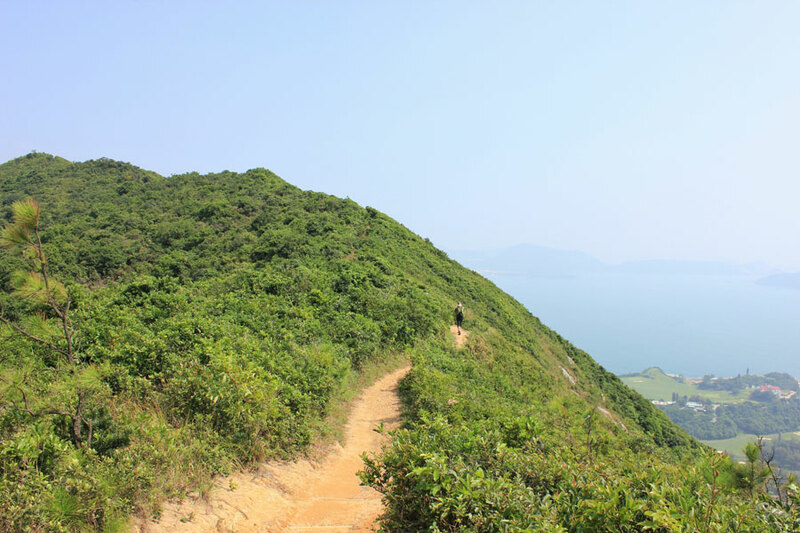 My hike through Dragon’s Back trail was the highlight of my stay in Hong Kong and one of the best hikes I’ve done to date. 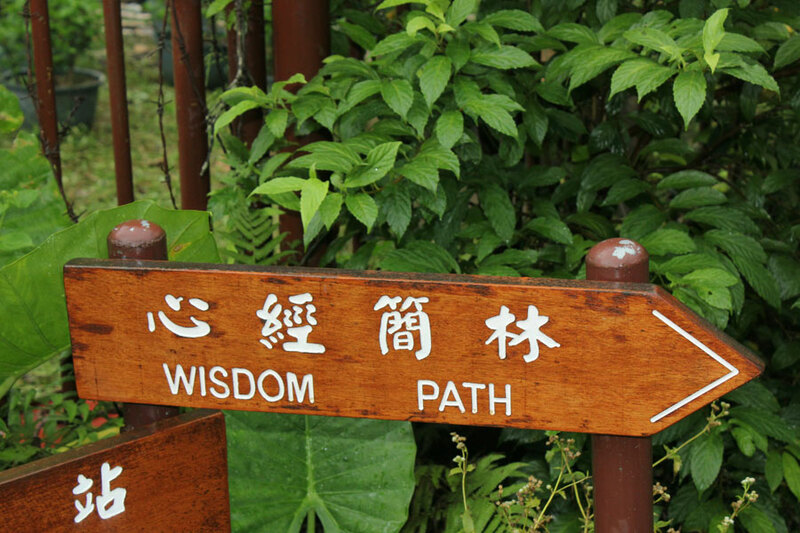 The trail is beautiful and provides a moment of peace away from the city. 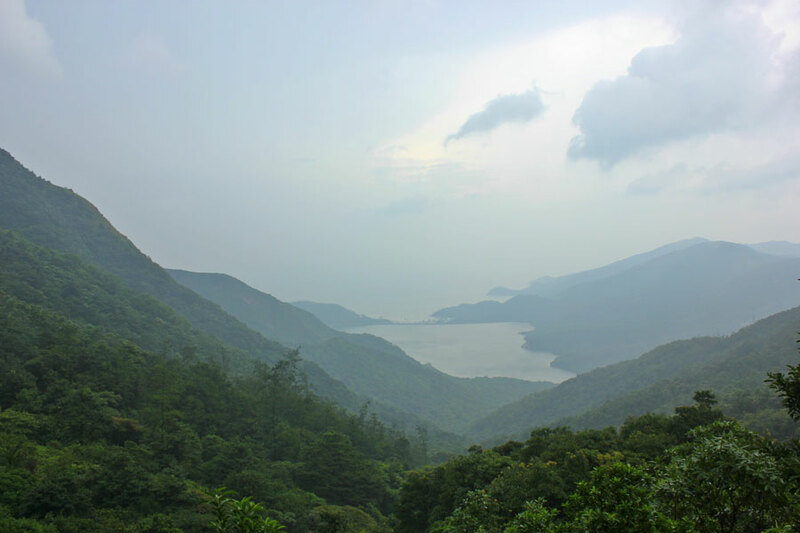 It takes about 2-3 hours to hike depending on how many photo/rest breaks you take in between. 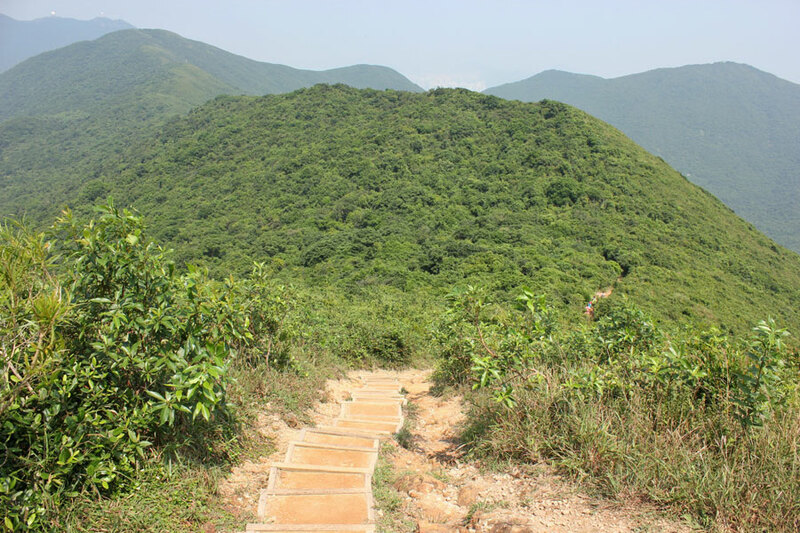 Once you’ve reached the peak, the panoramic views are breathtaking and well worth the sweat and fatigue endured – take a moment to take it all in, however, please pay attention to the trail signs. 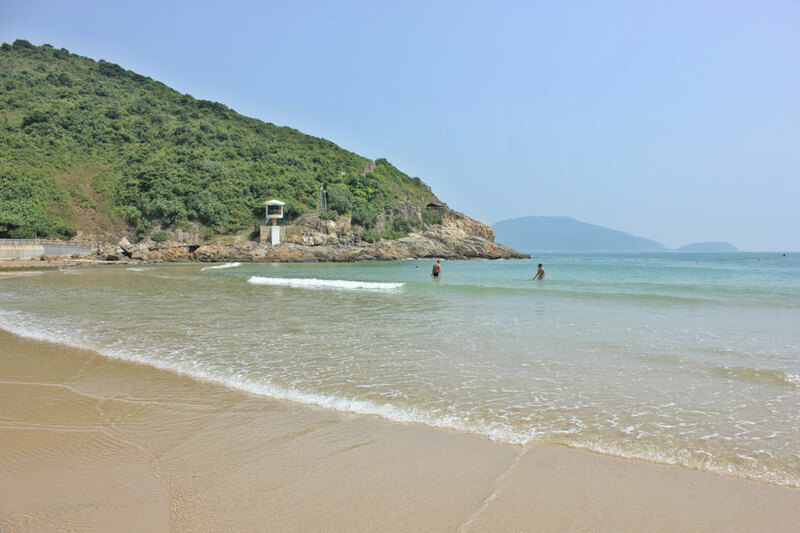 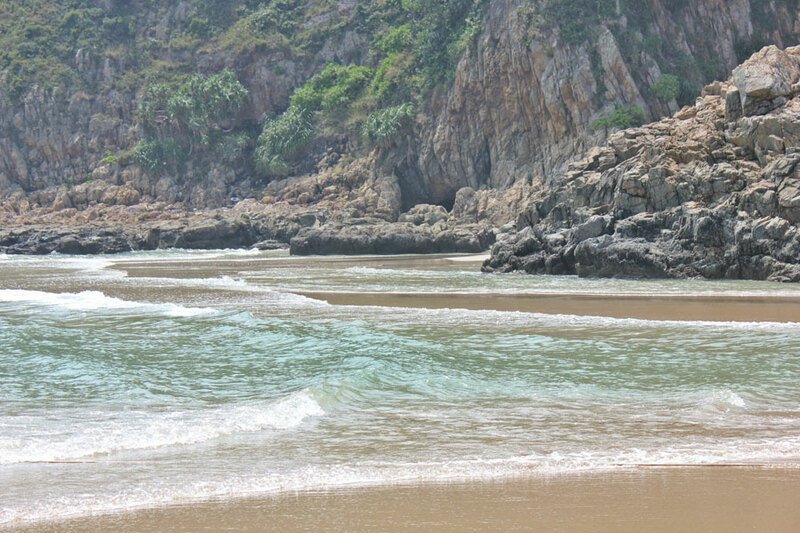 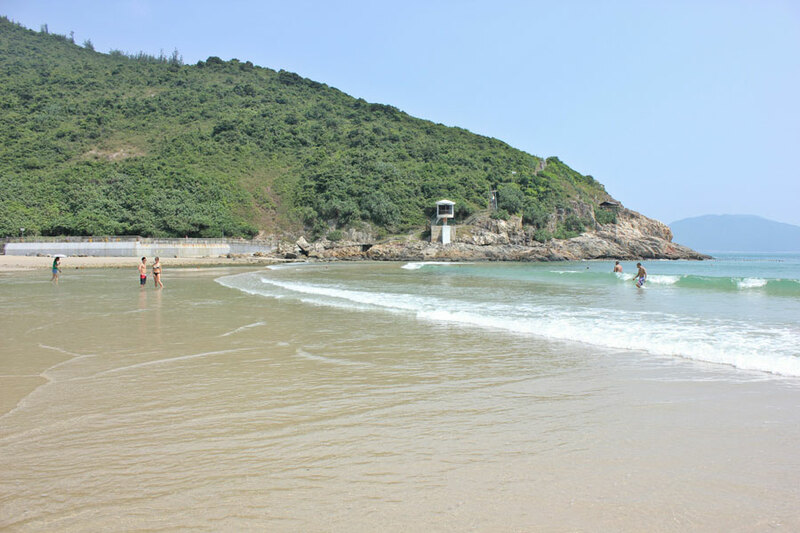 I ended my hike at Big Wave Bay Beach… stunning to say the least. 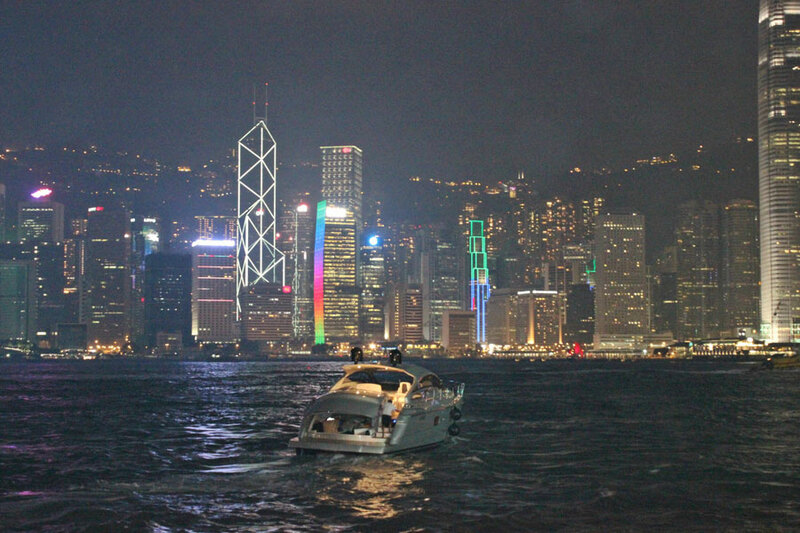 I never knew Hong Kong provided such beauty. 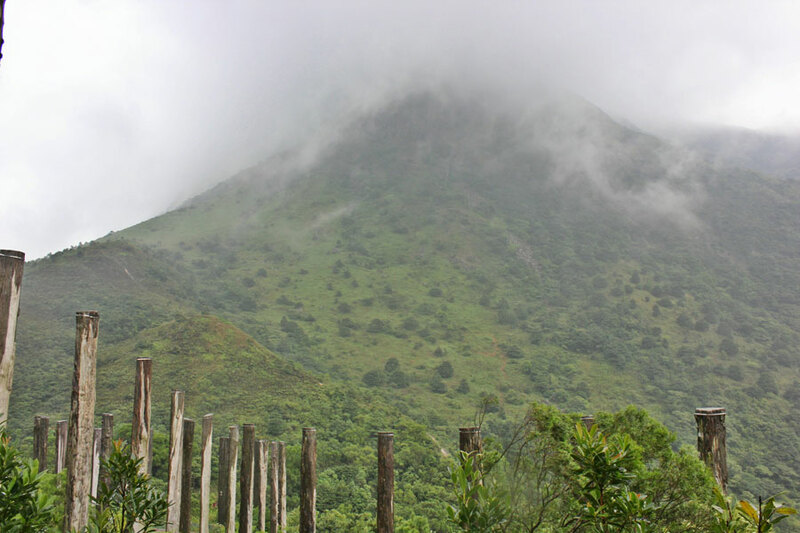 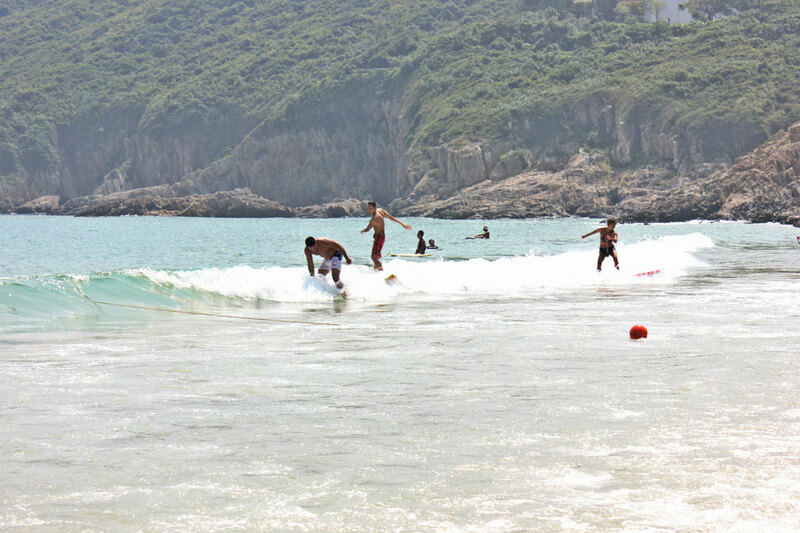 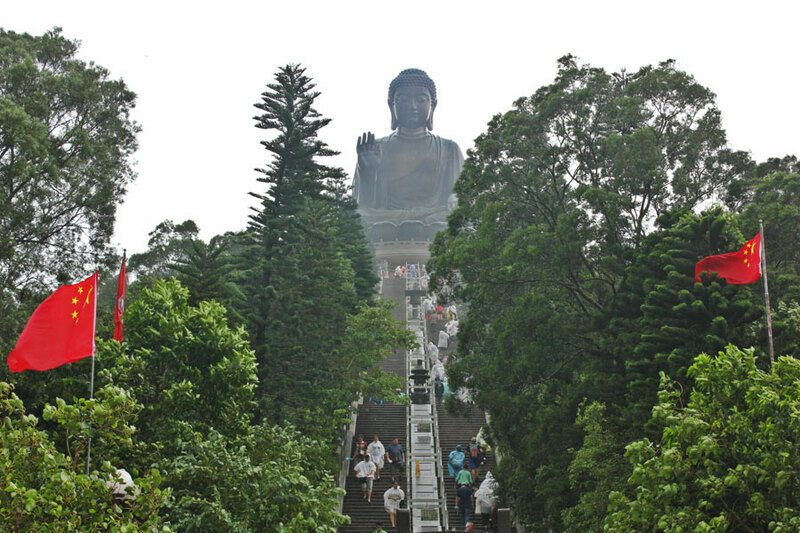 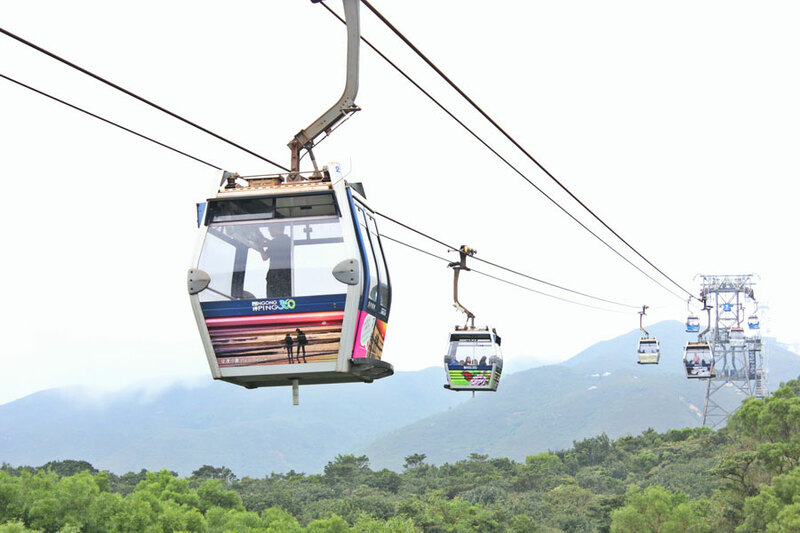 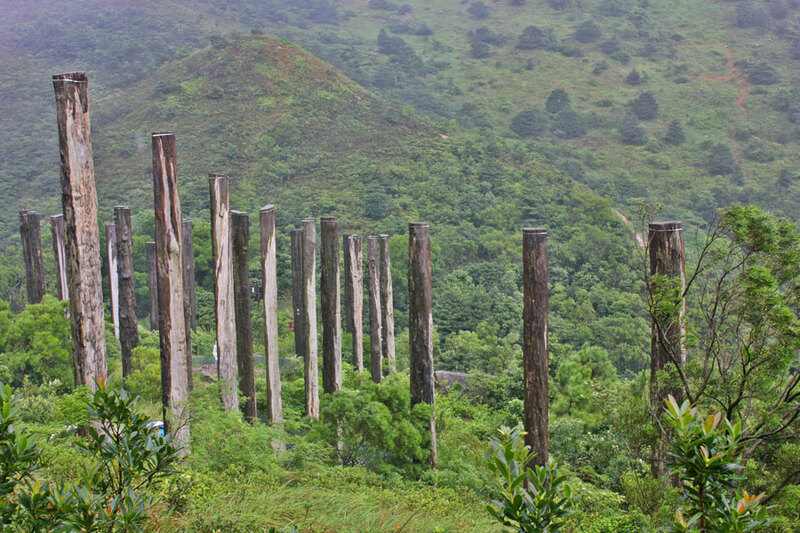 A journey over to Lantau Island is a must – there’s so much to do. 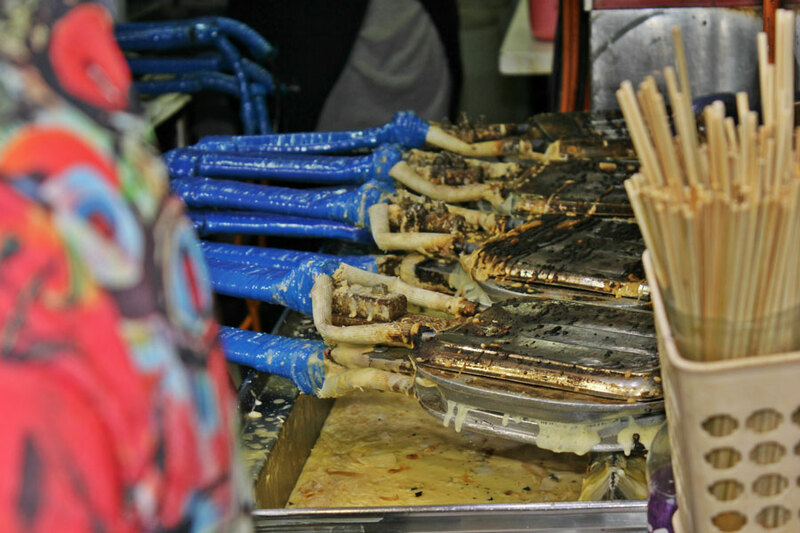 I probably only conquered half of it, but there’s no harm in saving some for next time. 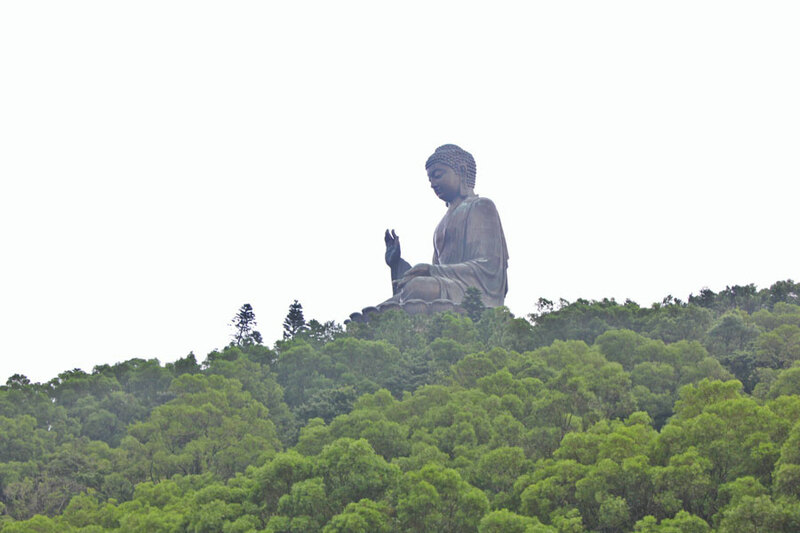 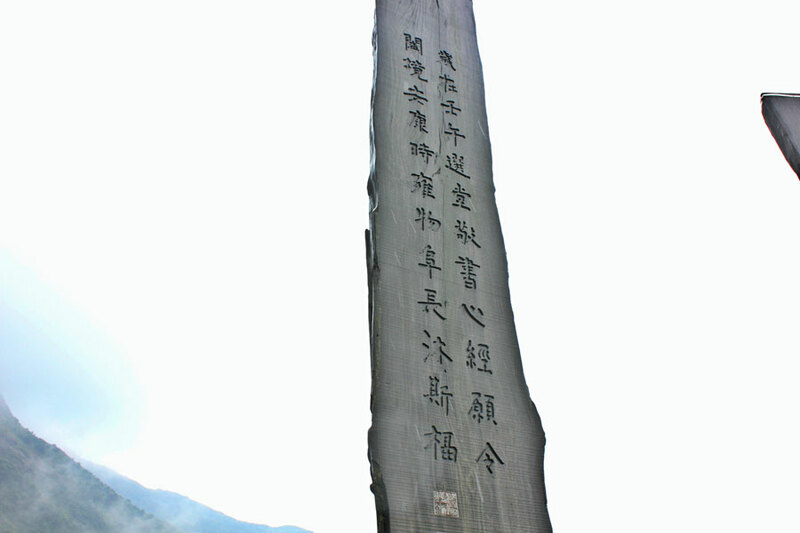 Lantau Island is home of the Ngong Ping Village, which houses the Tan Tian Buddah, Po Lin Monastery, the Wisdom Path, and Lantau Peak. 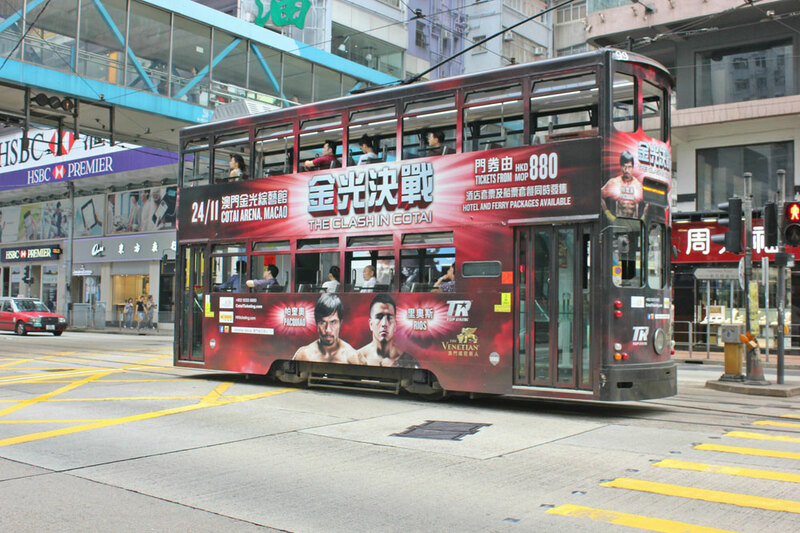 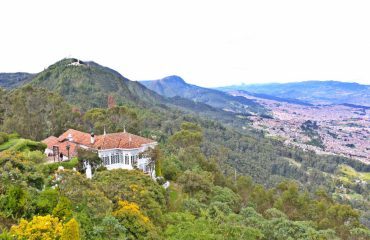 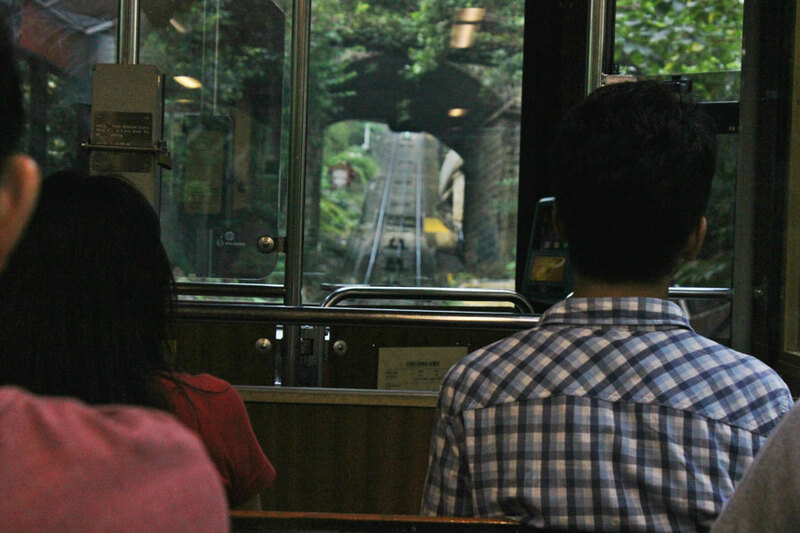 If possible, take the cable car up to the mountain – the city bus is long, lame, and uneventful. 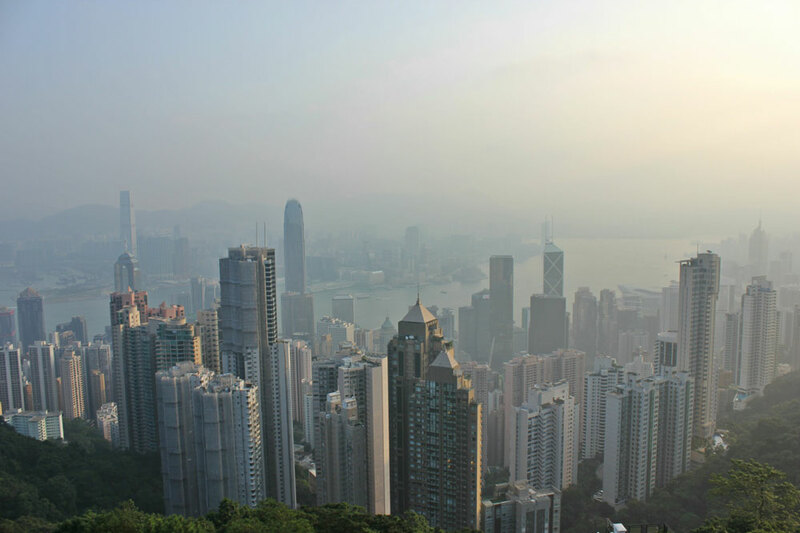 Victoria’s Peak is probably one of the most popular attractions in Hong Kong and the tallest peak on Hong Kong Island. 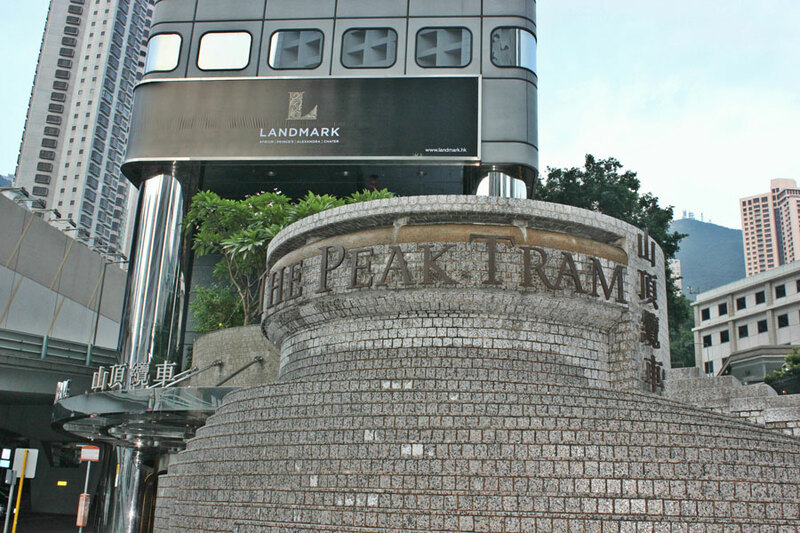 Take the Peak Tram to the top to take in the amazing sunrise in the morning and the sparkling skyscrapers at night. 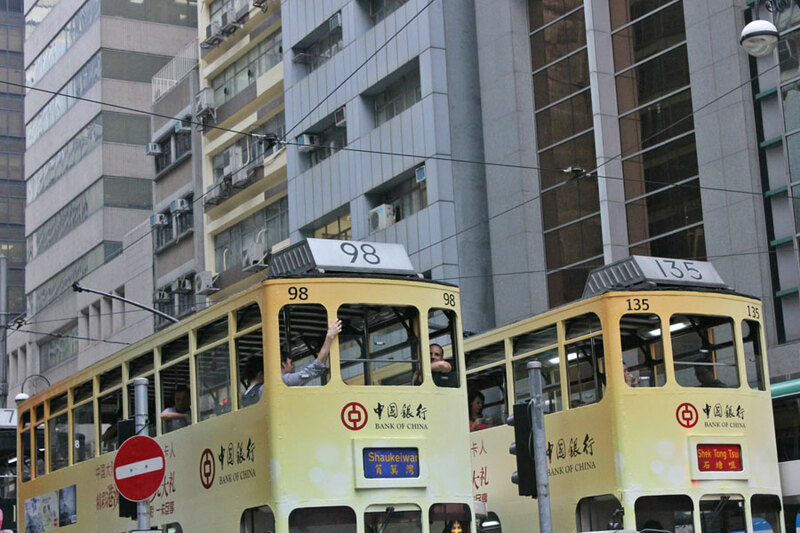 Warning – during peak season the wait for the tram and the bus can take up to three hours… plan accordingly. 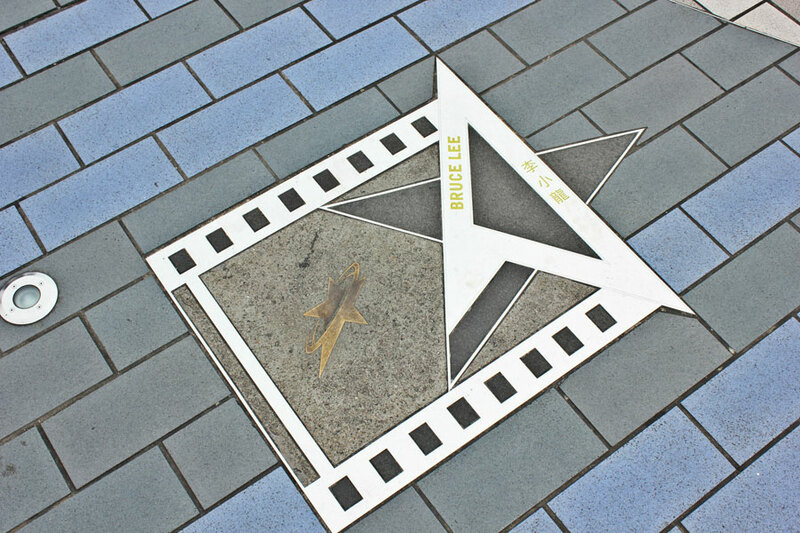 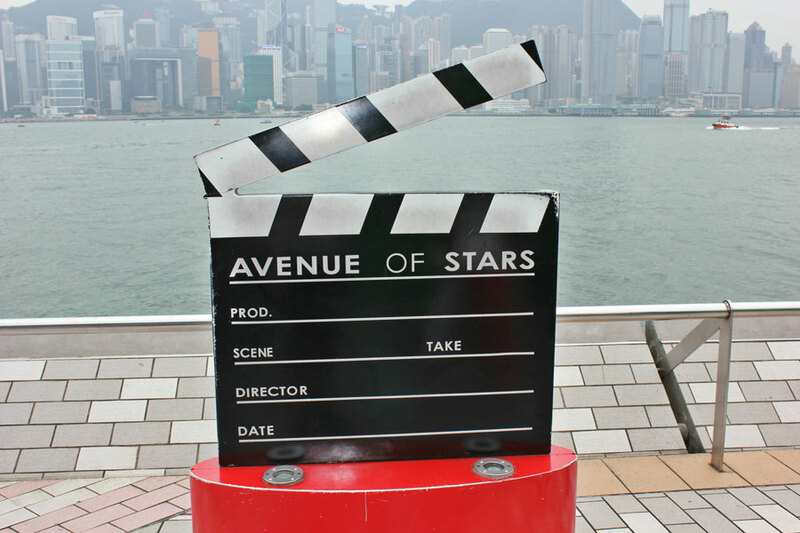 Avenue of the Stars is one of those sites where you visit just to say “I’ve been there!” More than likely, you will only recognize Jackie Chan, Bruce Lee, and Jet Li’s names unless you are truly immersed into Chinese entertainment to know the others. 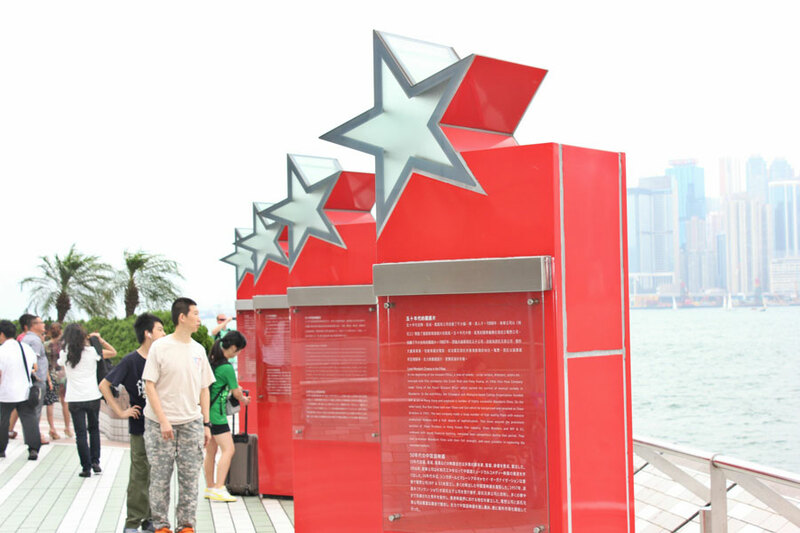 While strolling along Avenue of the Stars, take some time to take in the great views of Victoria Harbour and the Symphony of Lights Show (every night at 8pm) to see the Hong Kong skyline light up. 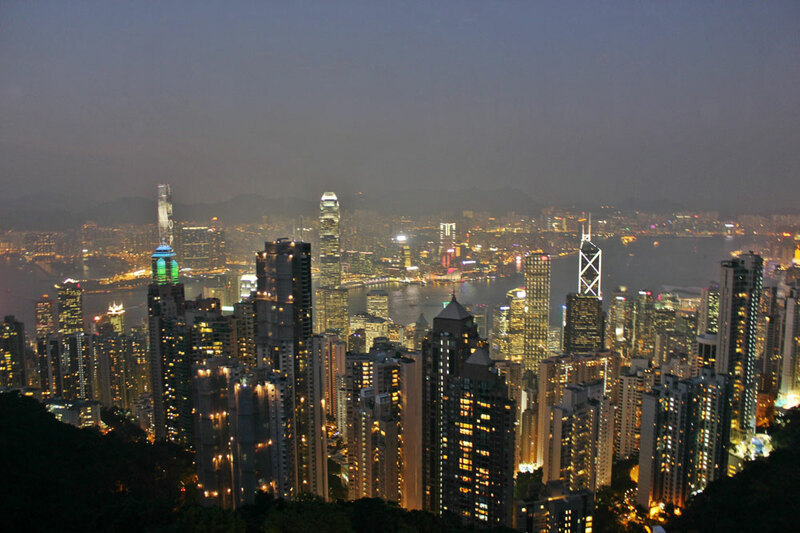 There’s plenty to do in Kowloon. 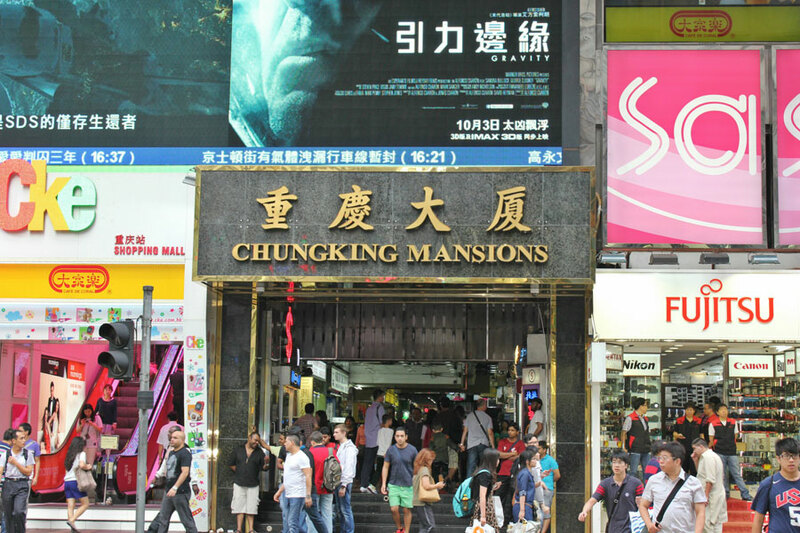 I recommend taking a stroll along Nathan Rd for shopping, visit the Temple Street Night Market, take a peak inside Chungking Mansions (what a hot mess – a major fake market with a million hostels above it. 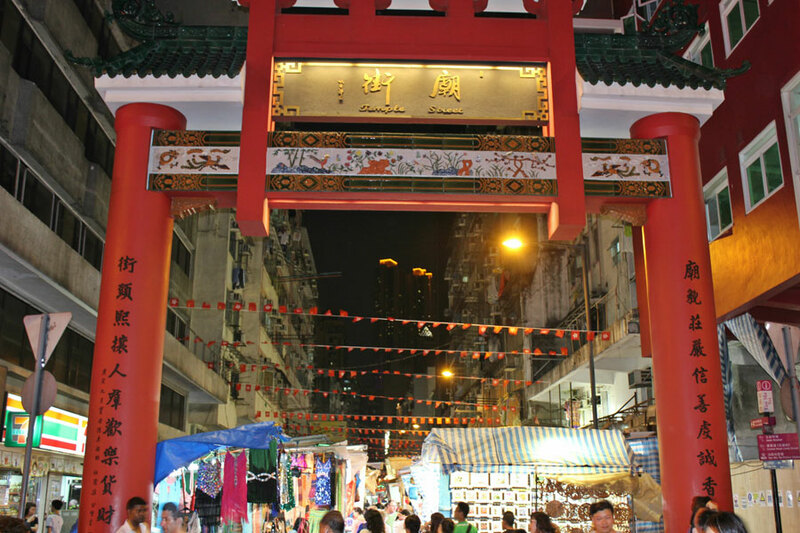 The area is shady – so be careful and watch your belongings), grab a drink along Knutsford Terrace, and indulge in some street food! 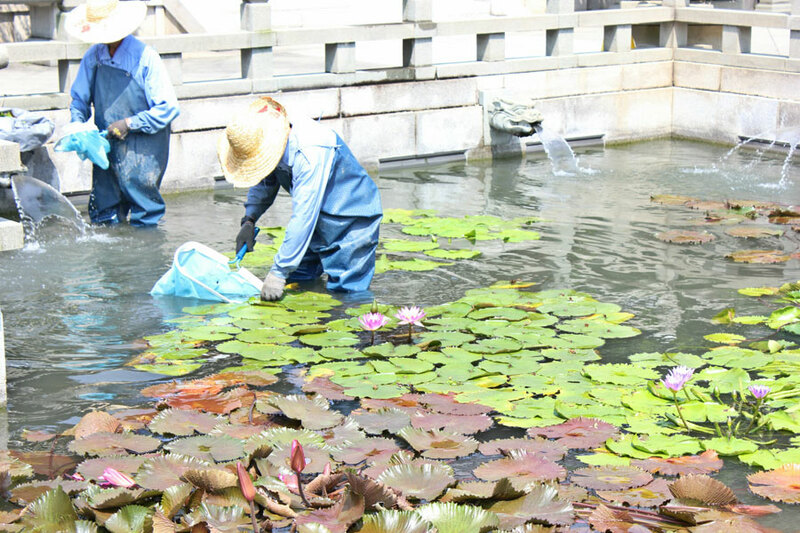 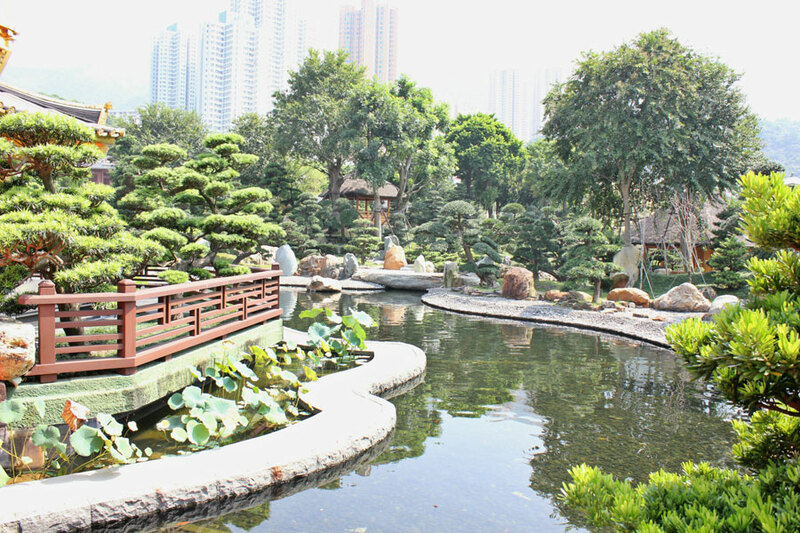 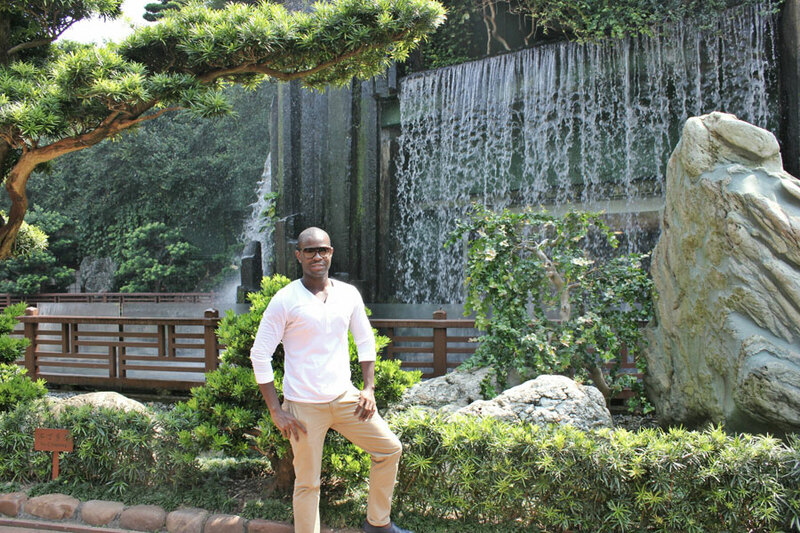 The Nan Lian Gardens has quite the scenery! 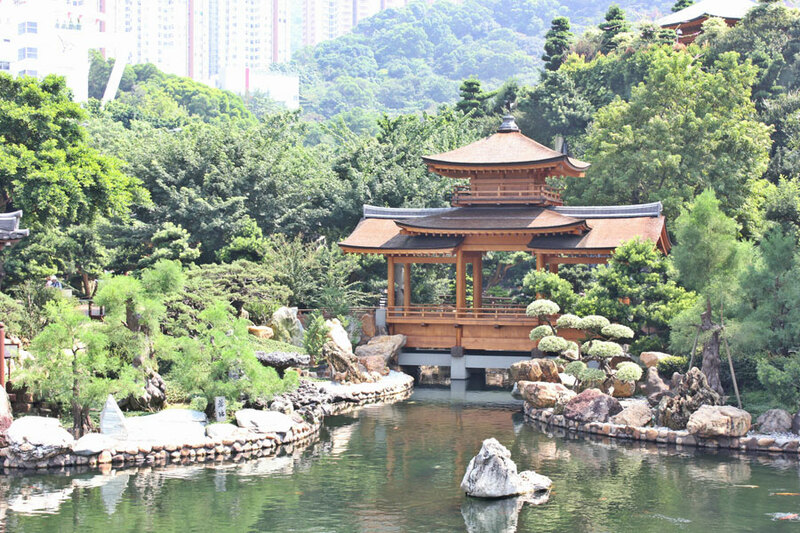 Nestled between the motorway and several high rise buildings, this typical Chinese garden is a great escape for some peace and quiet. 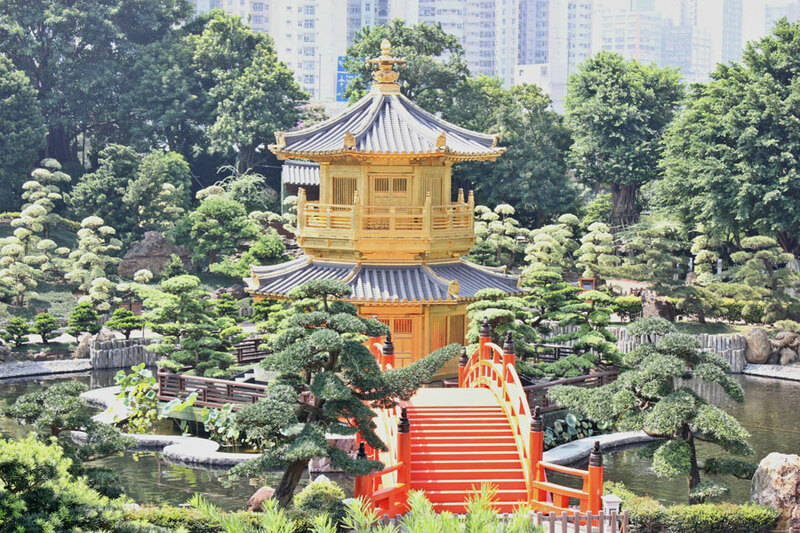 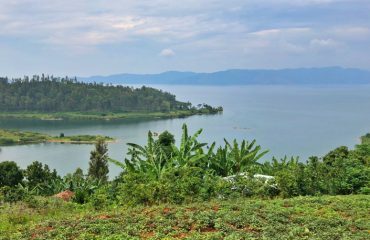 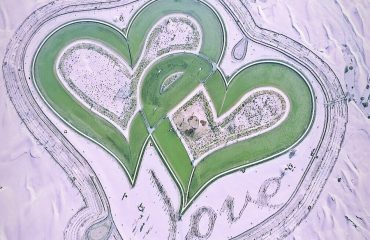 The cultivation of the gardens and trees are quite impressive and will keep you grabbing for your camera every step of the way. 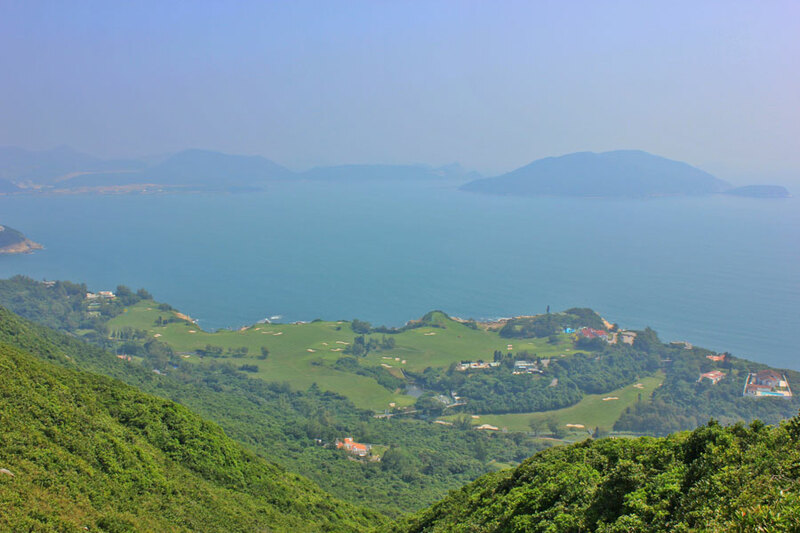 The journey is a bit “far” out from the city center, but if you’re a fan of great landscape, be sure to add Nan Lian to your list. 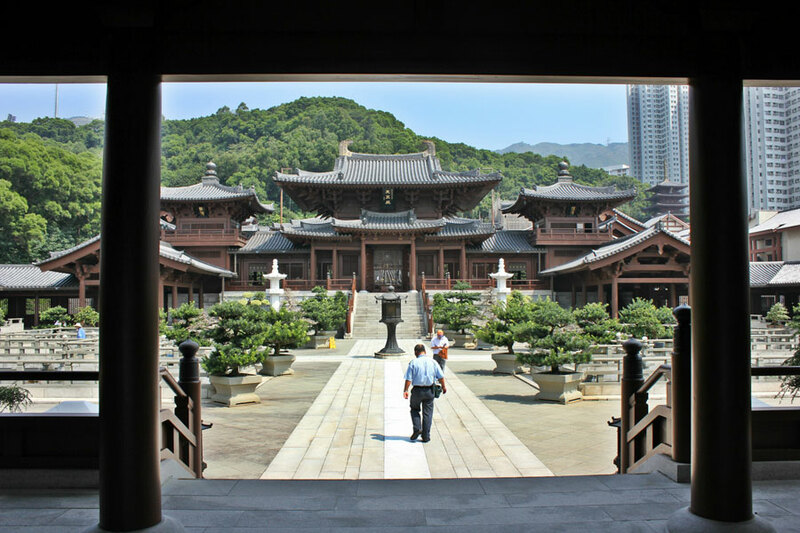 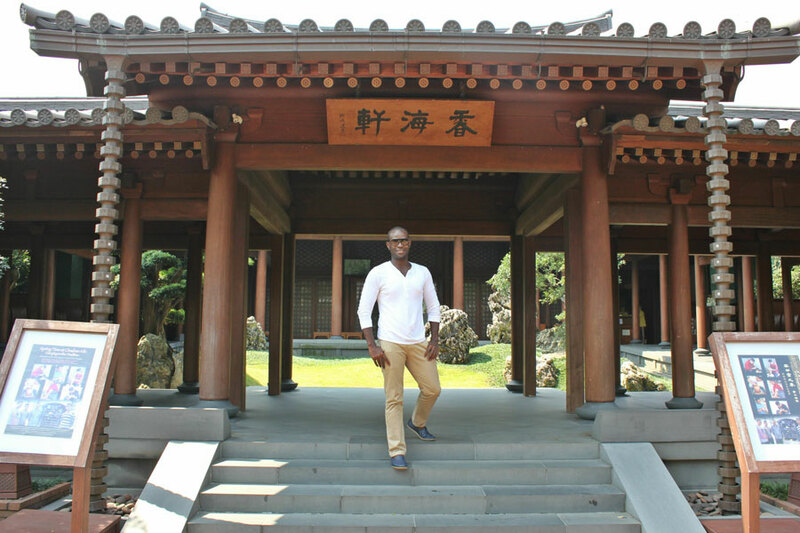 Also, check out the impressive Chi Lin Nunnery opposite the gardens. 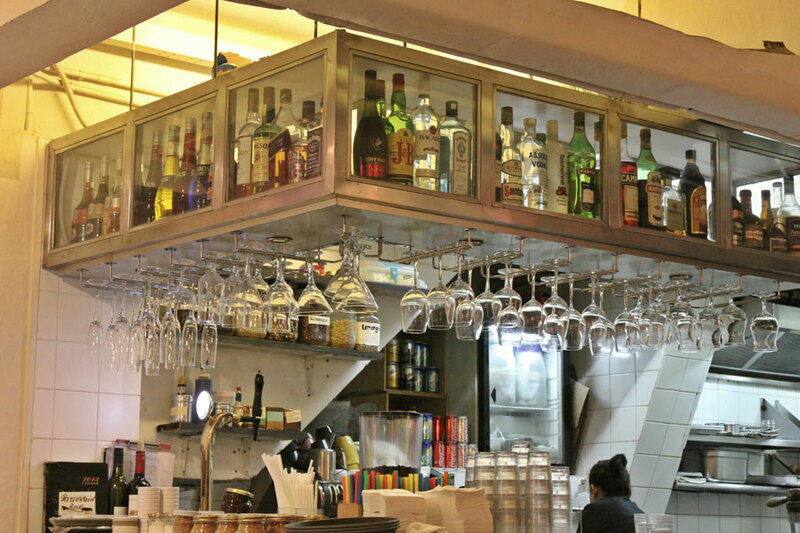 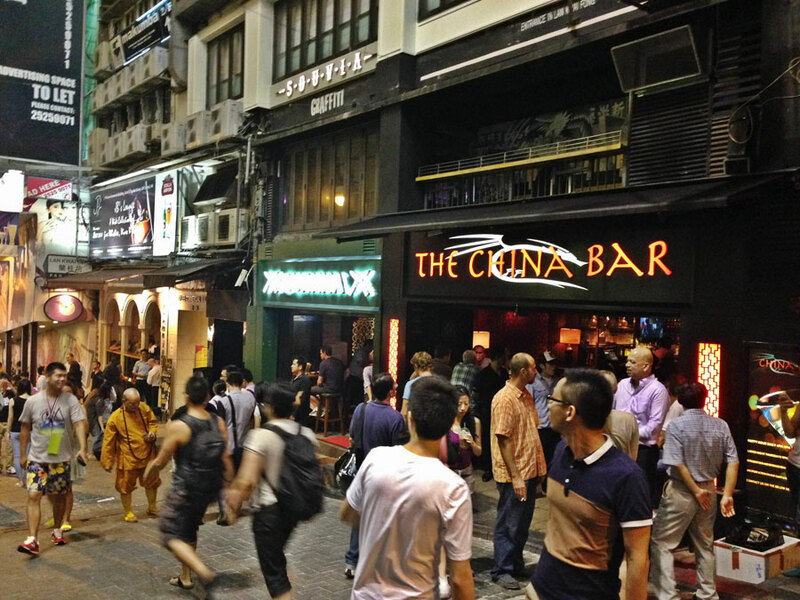 Nightlife in Hong Kong can be fun depending on what you’re looking for. 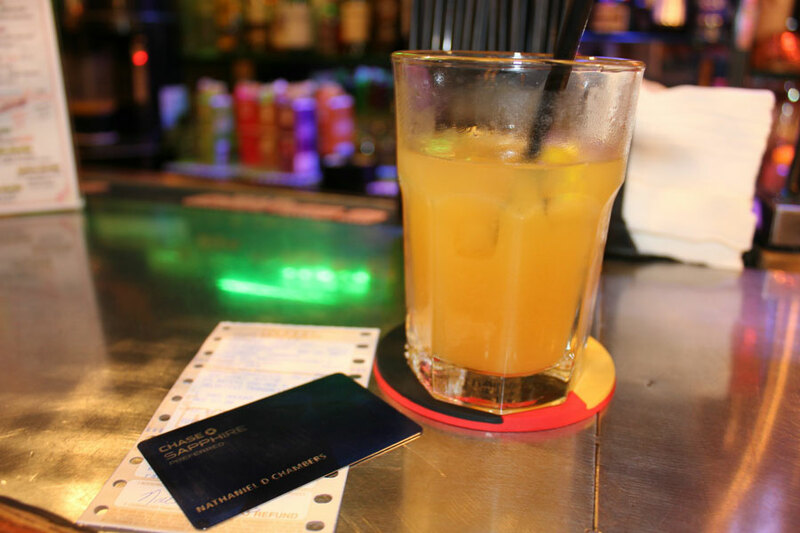 I’m no longer a fan of the club scene. 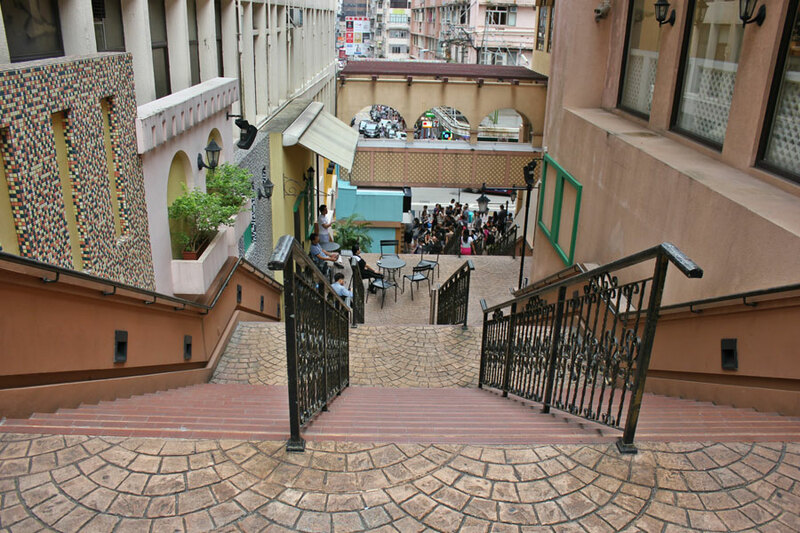 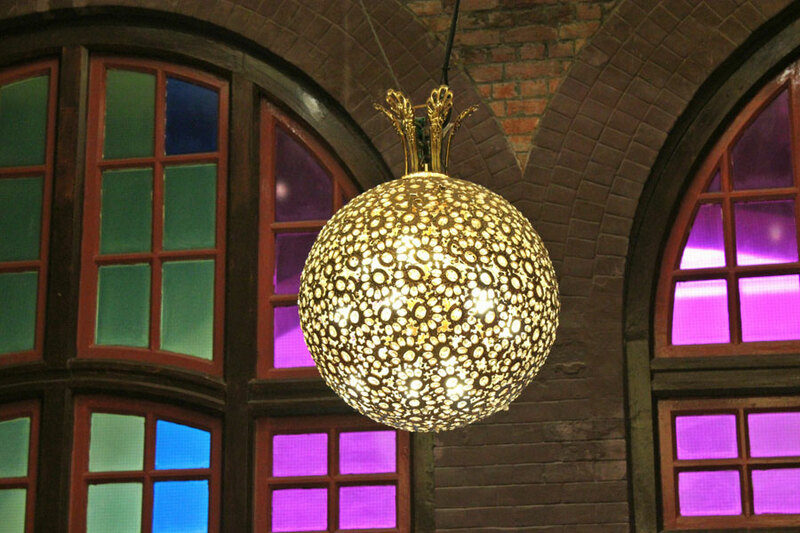 Instead, I tend to gravitate towards great restaurants, areas to people watch, and indulging in a glass of wine… or eight! 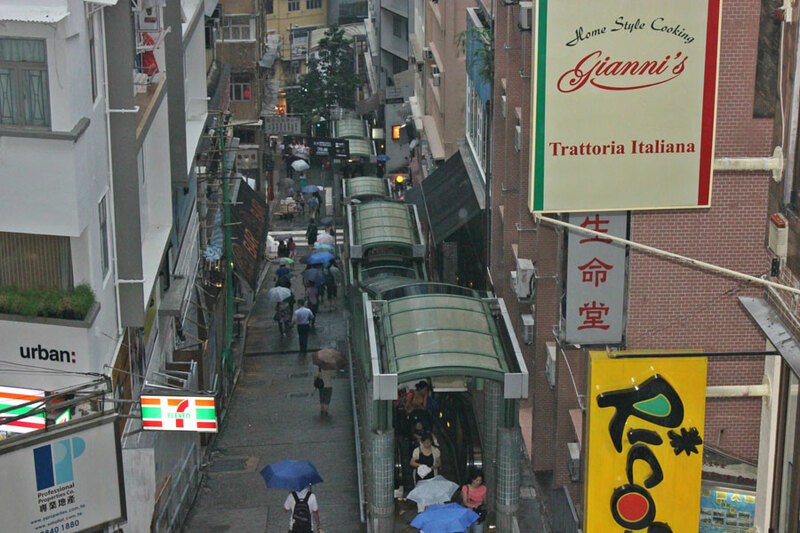 Soho is home to many restaurants, both local and international, and the Central Mid-Level Escalators, the world’s longest outdoor escalator walkway. 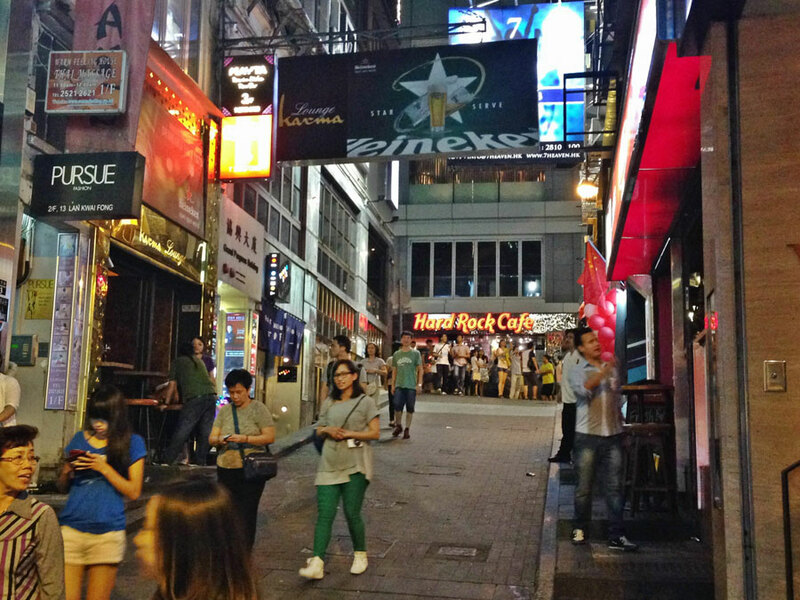 Soho’s neighbor, Lan Kwai Fong (LKF), is quite a scene with many bars and loads of drunk individuals. 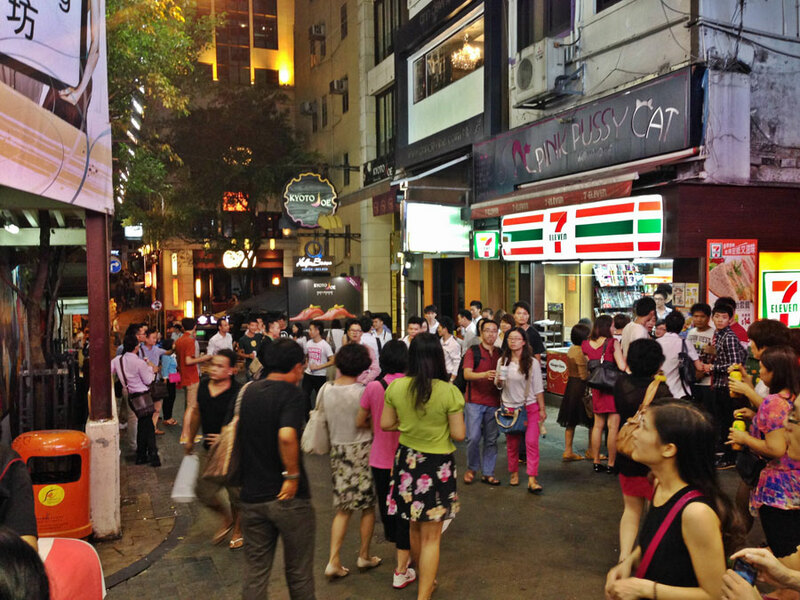 Be sure to walk with an extra pack of patience for this insane crowd. 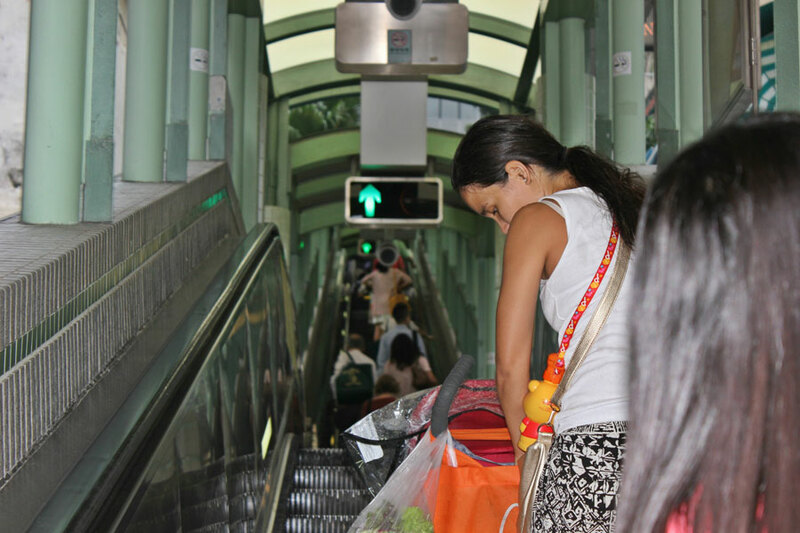 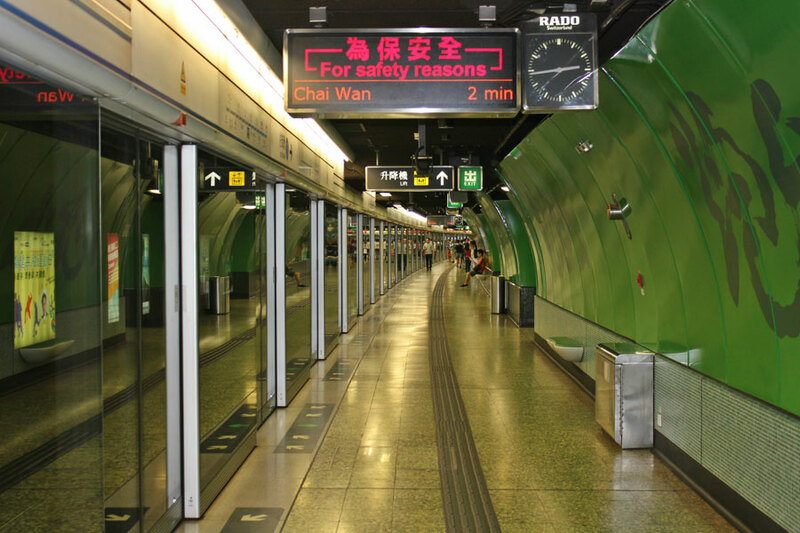 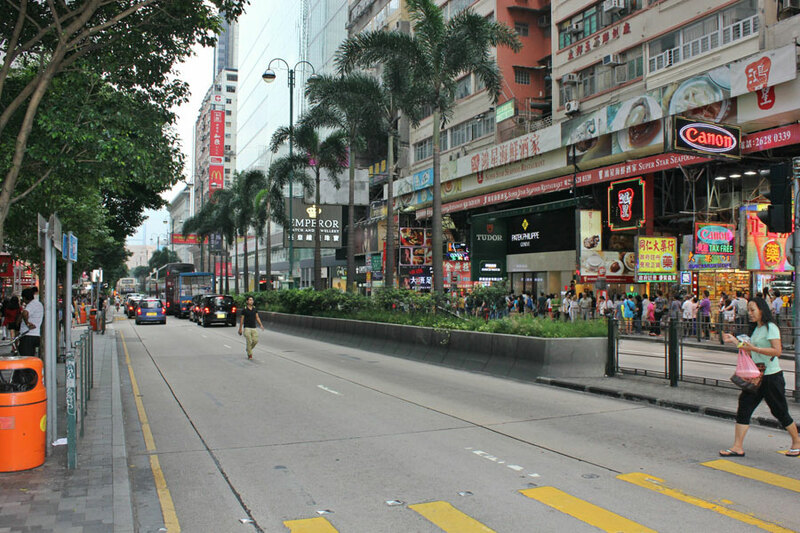 In the central and western districts you can easily get a glimpse of daily life in Hong Kong. 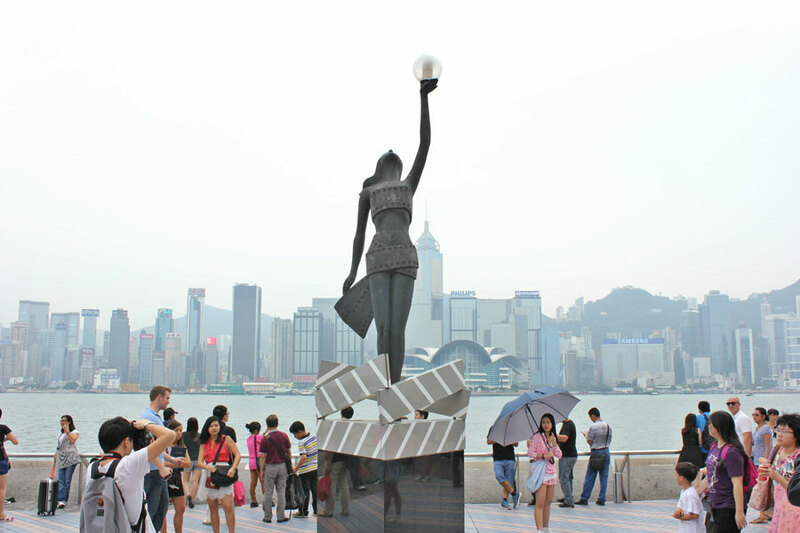 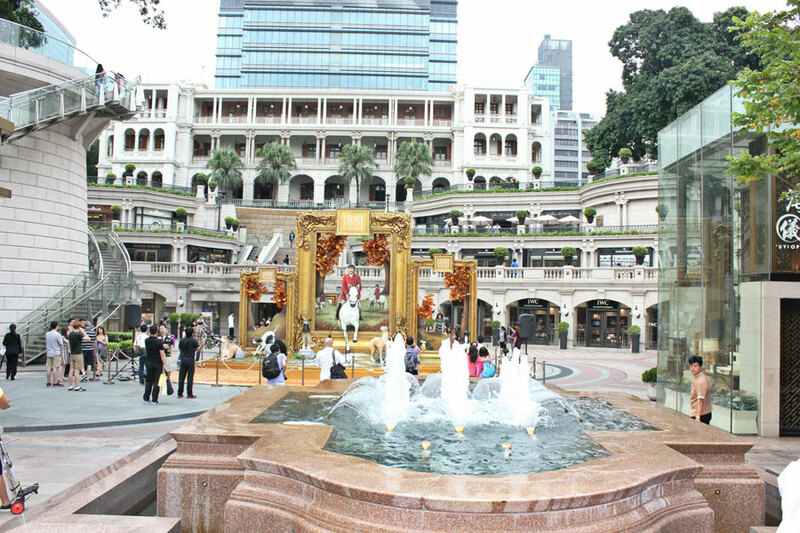 Download “Discover Hong Kong” for guided walks through this area. 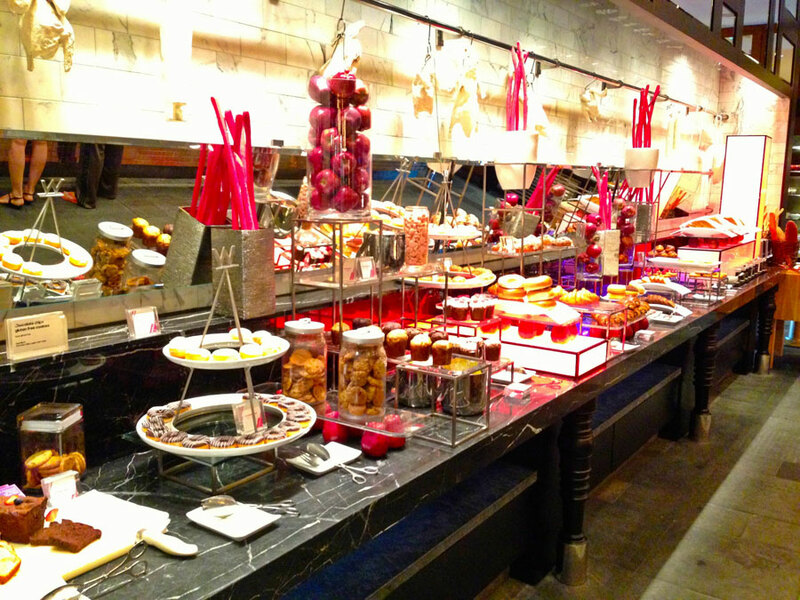 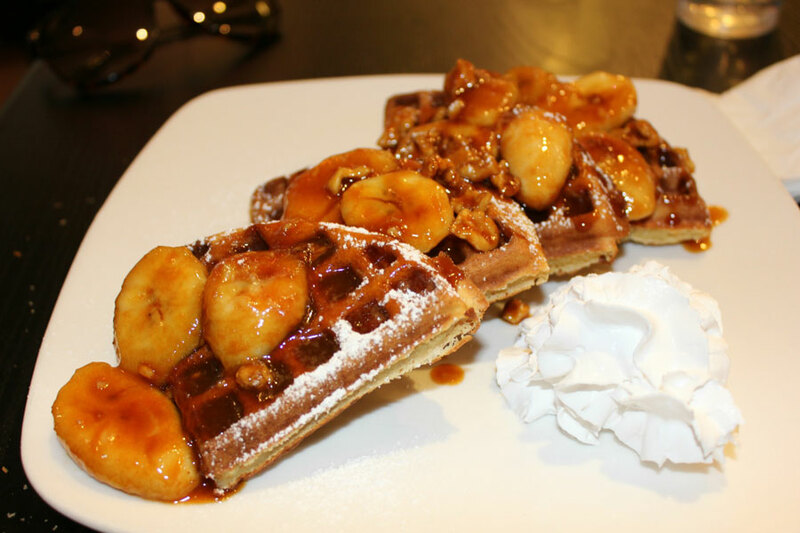 Breakfast buffet at The W Hotel – need I say more? 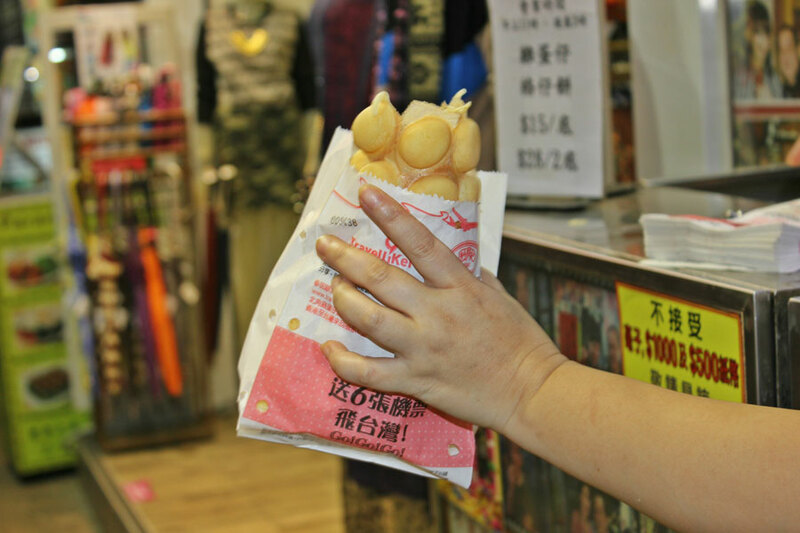 I’m a foodie and this was a delightful treat and a great way to start my last day in Hong Kong. 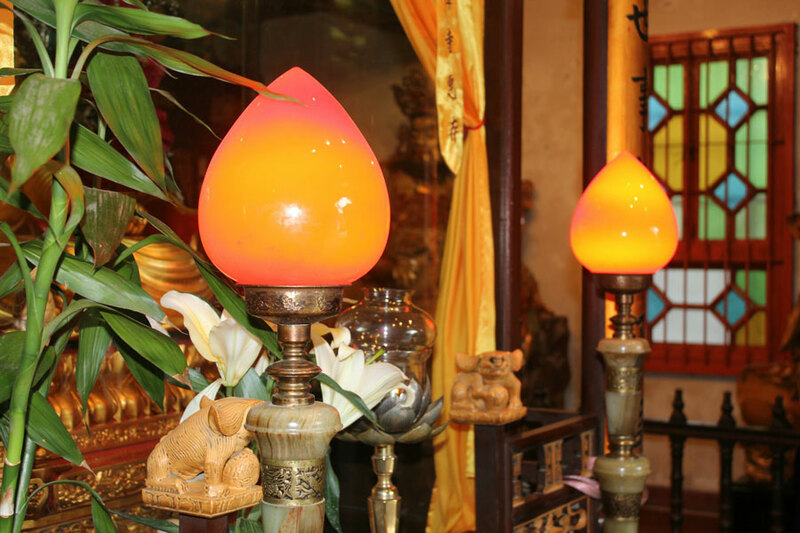 For roughly $30 USD, you will enjoy an all you can eat buffet in a stylish and elegant hotel. 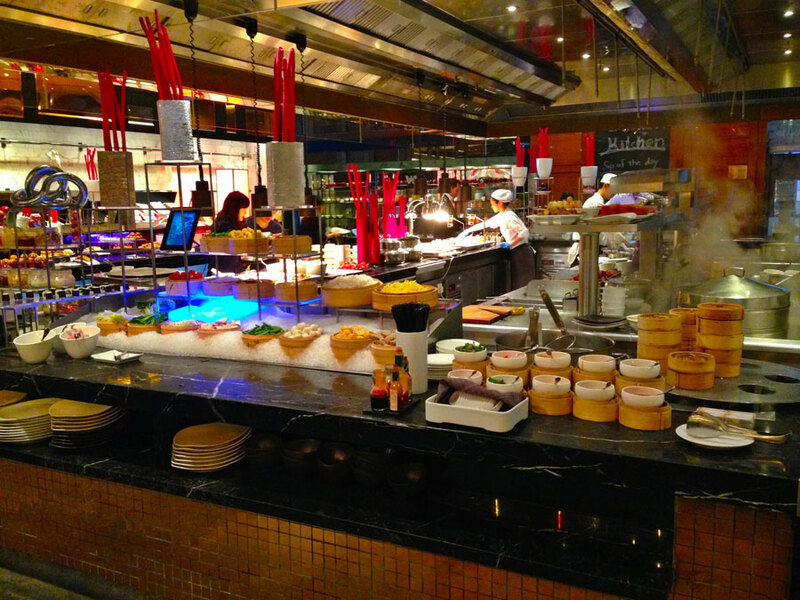 The buffet offers an egg “creation” station, sushi, dim sum, pancakes/waffles, a wide variety of juices, an impressive layout of desserts, a prosciutto cutting station, and typical Chinese dishes. 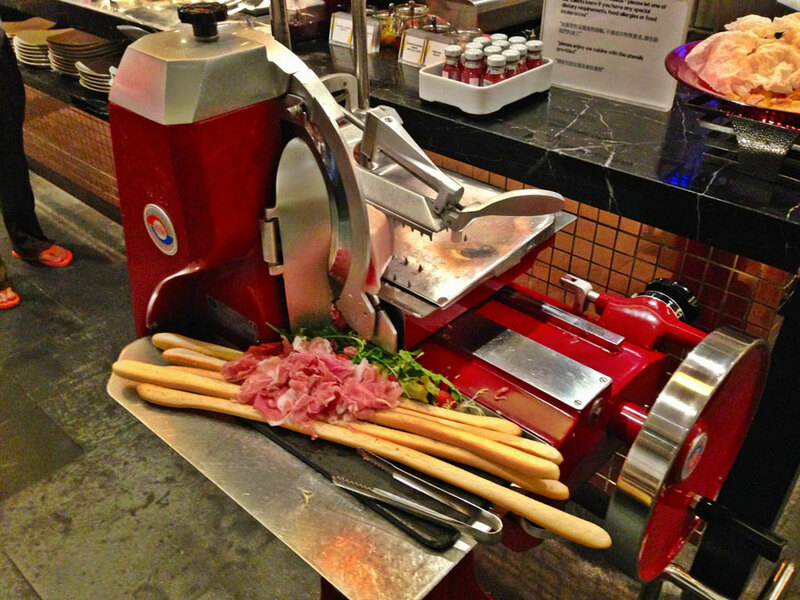 There’s a lot to choose from – come hungry! 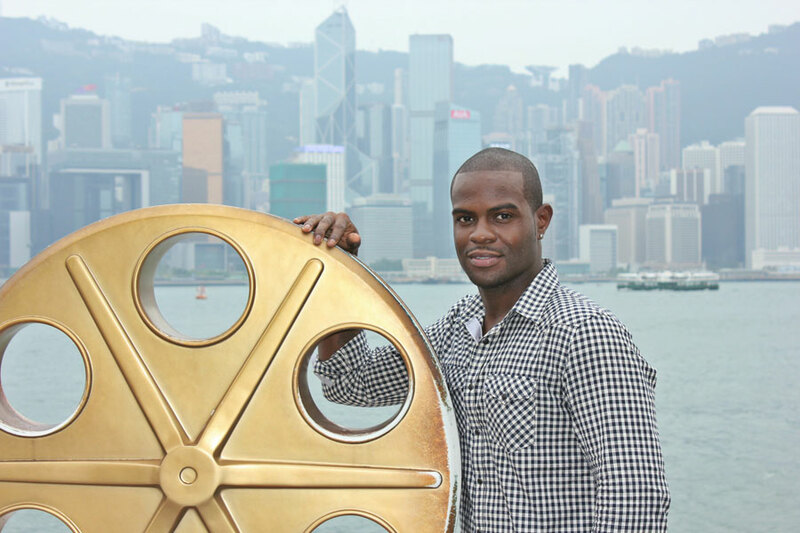 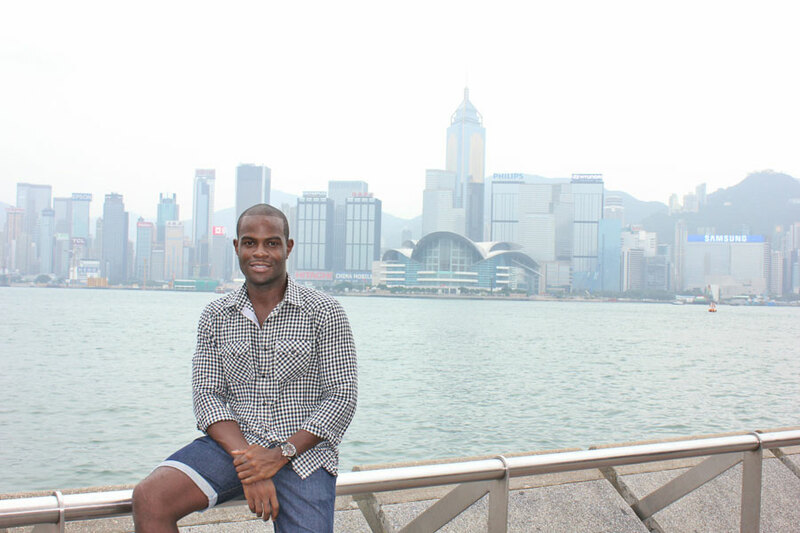 Overall my stay in Hong Kong was great. 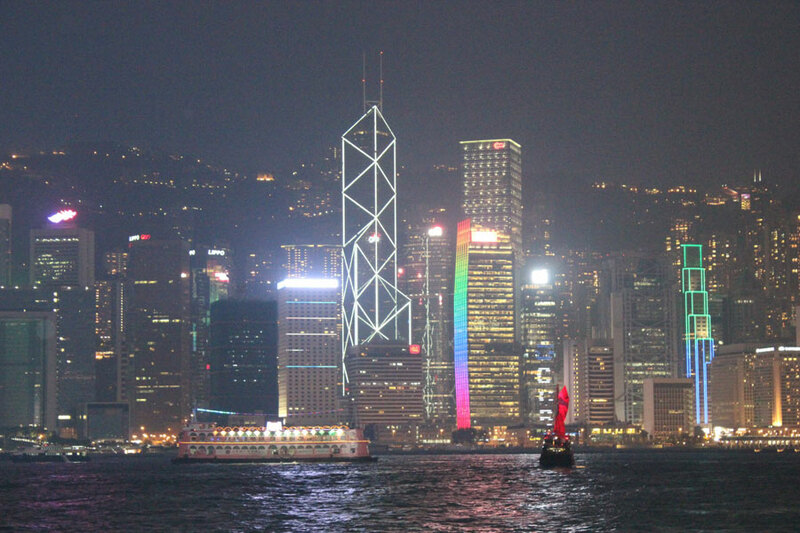 It’s always good when your expectations are surpassed. 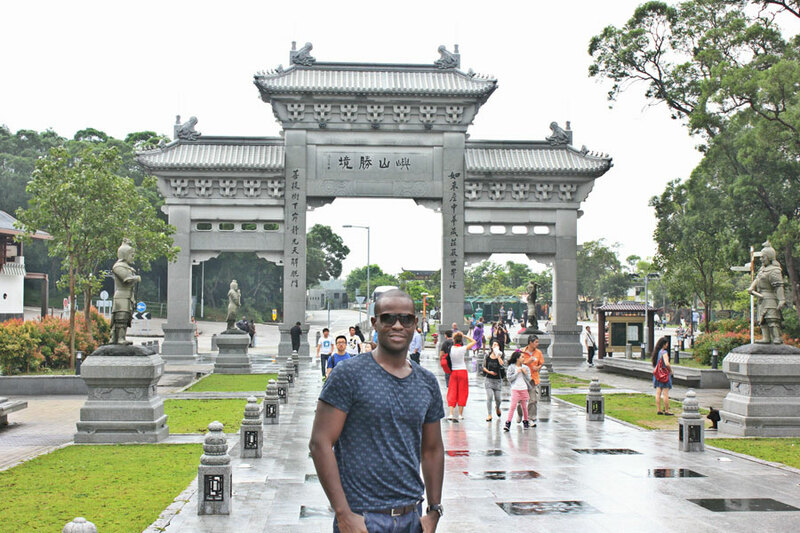 Hong Kong exposed me to a different side of China, one that I like and most definitely will return to. 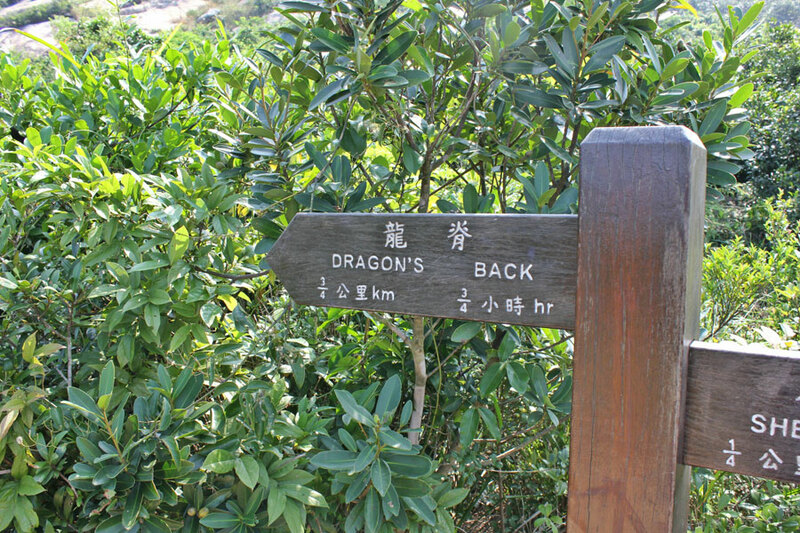 I’m eager to hike Dragon’s Back one more time!